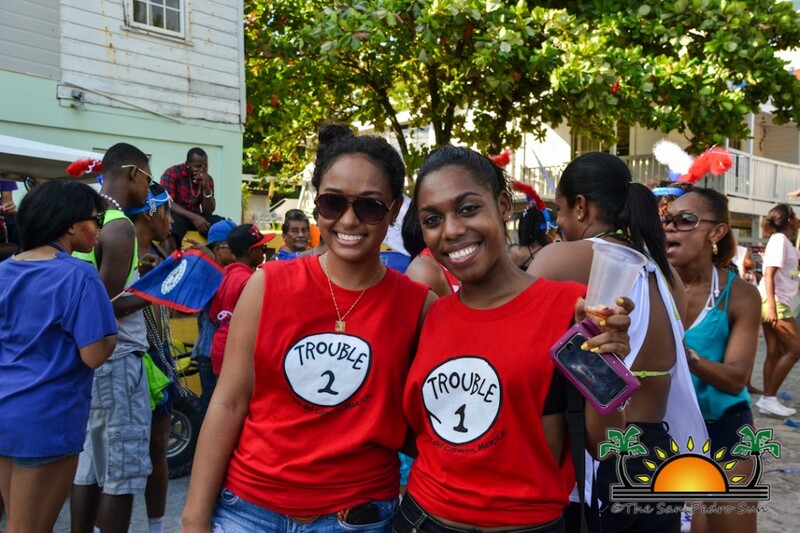 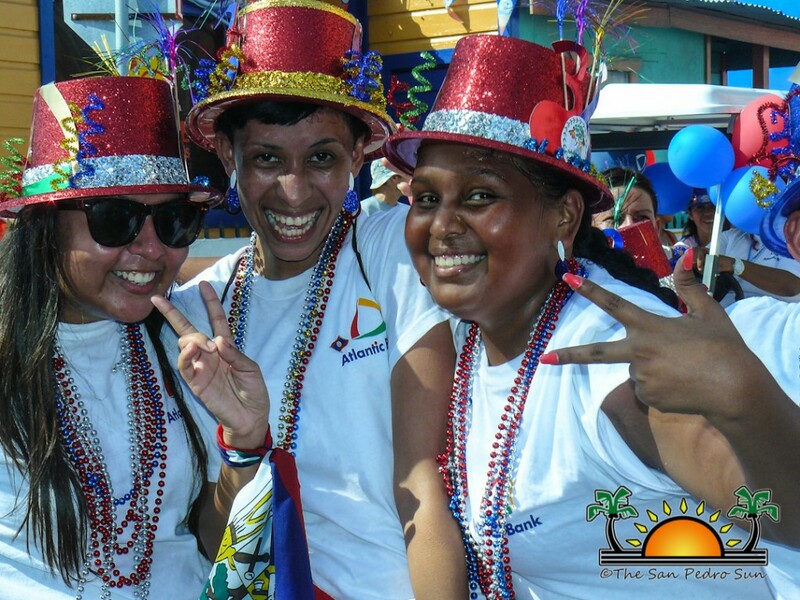 « Older: Kudos to the Flota girls! 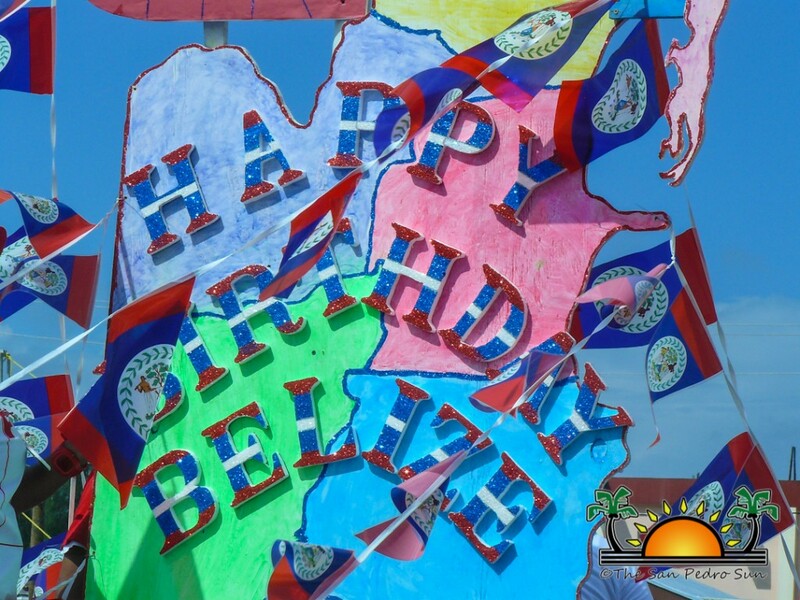 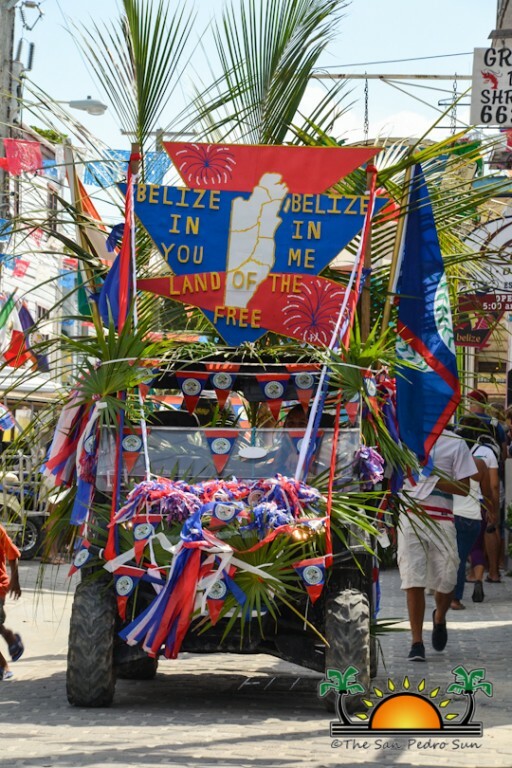 While Belize is still a relatively young nation, her people take pride in celebrating their independence from British rule. 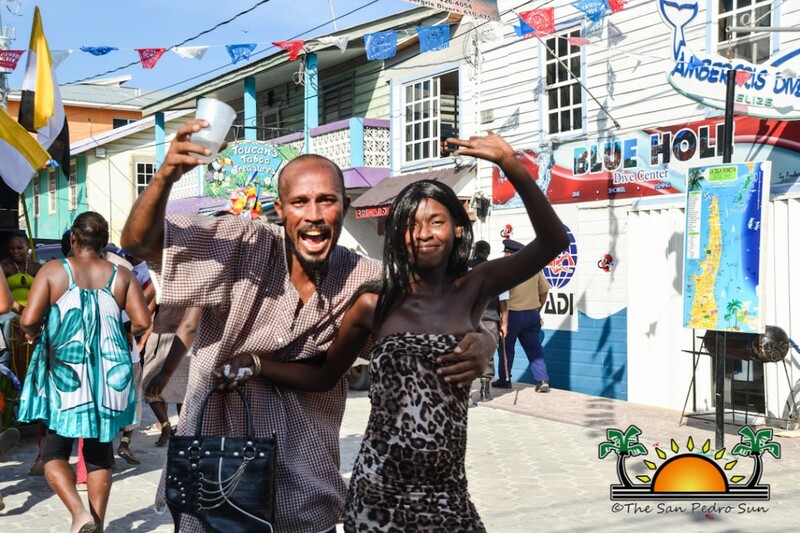 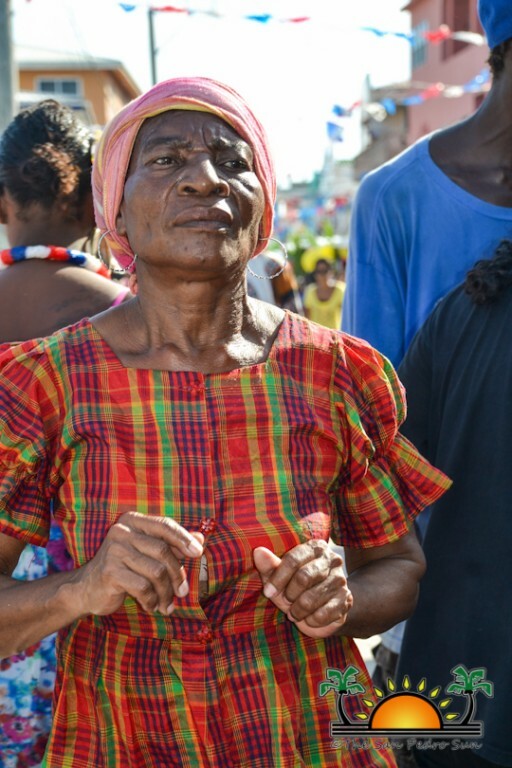 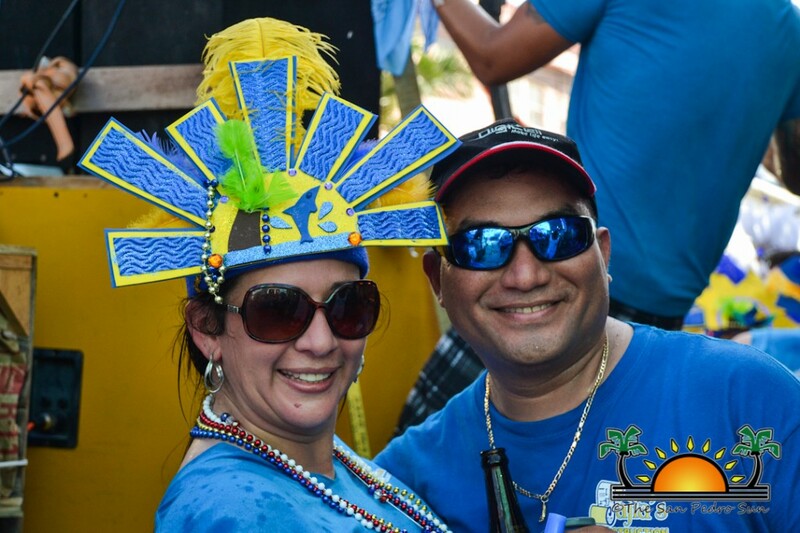 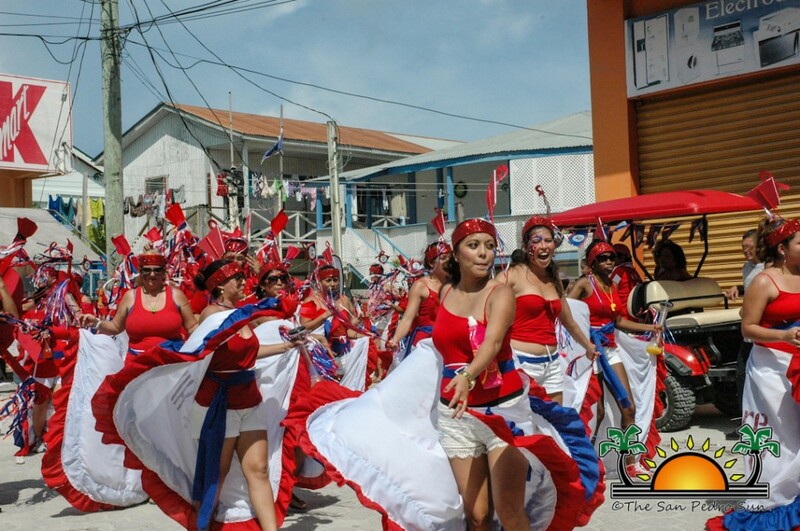 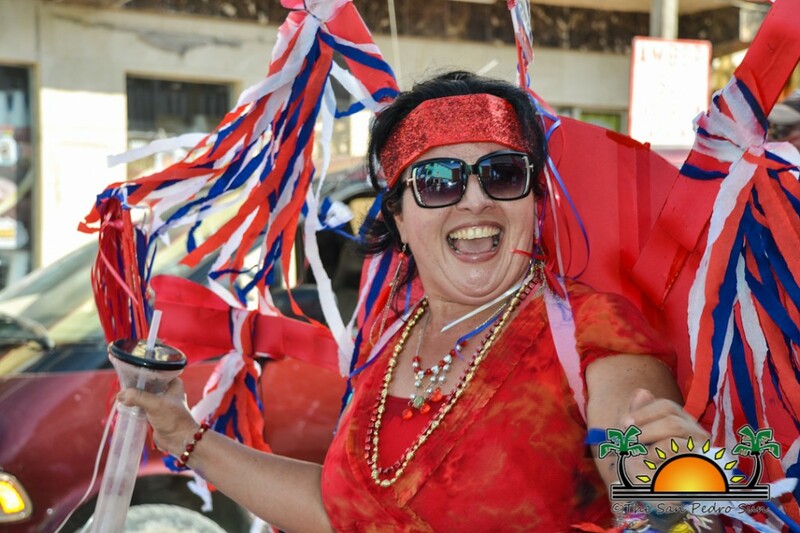 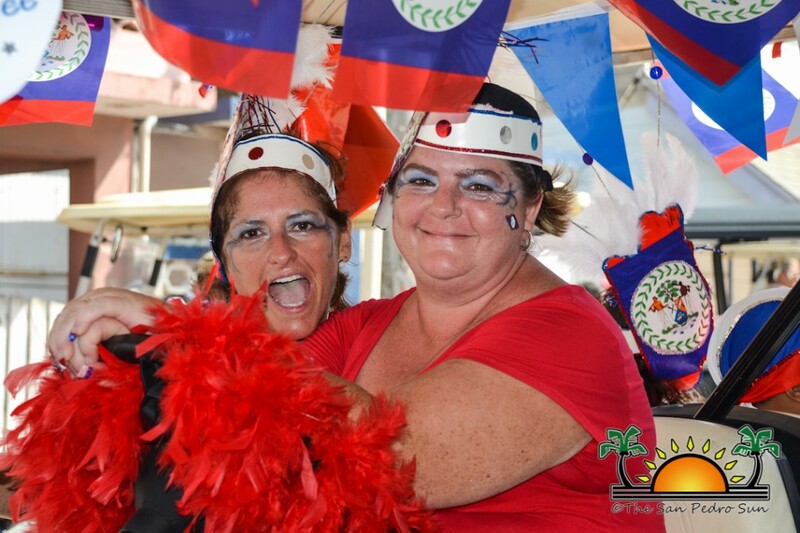 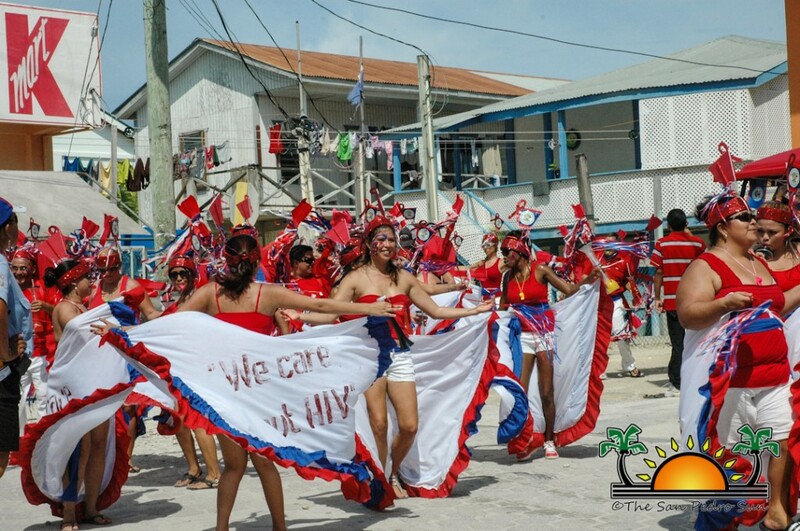 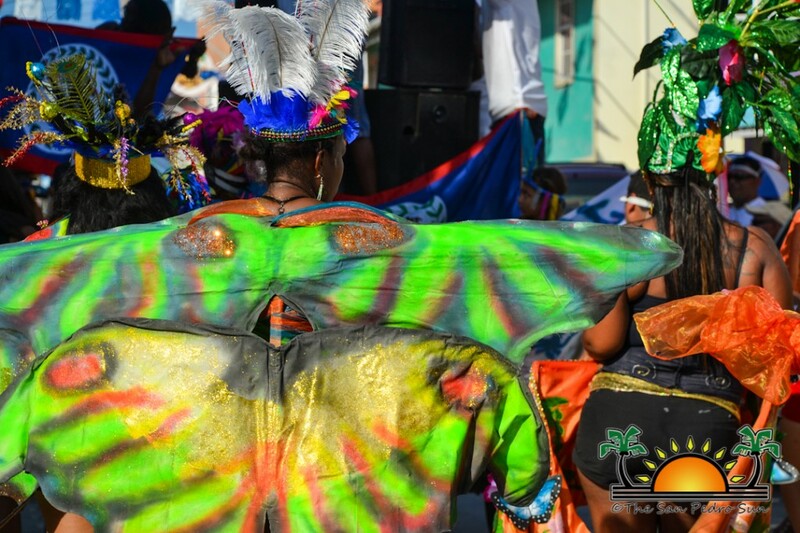 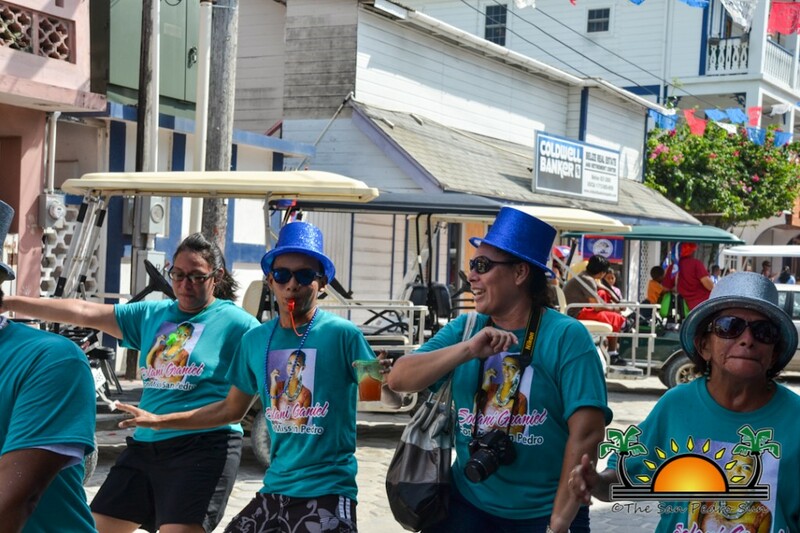 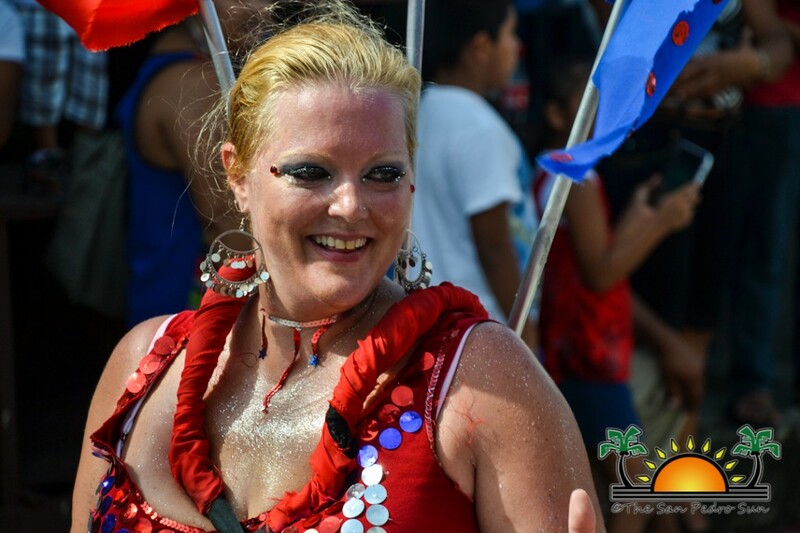 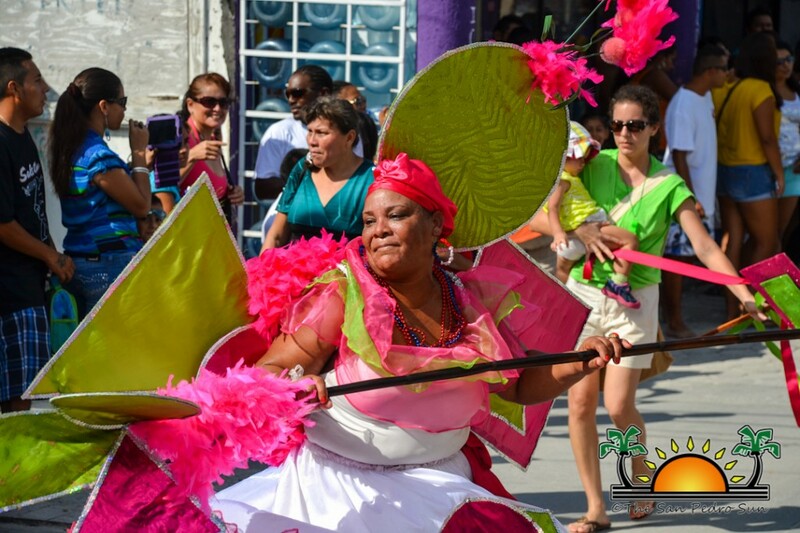 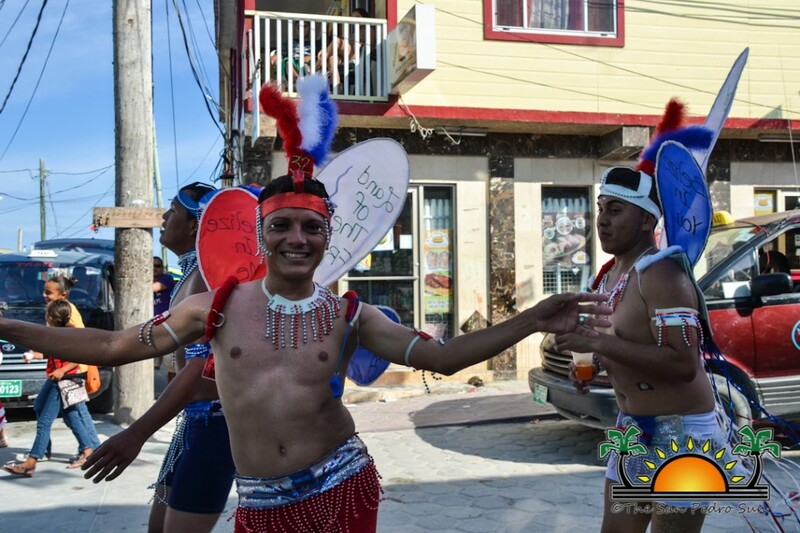 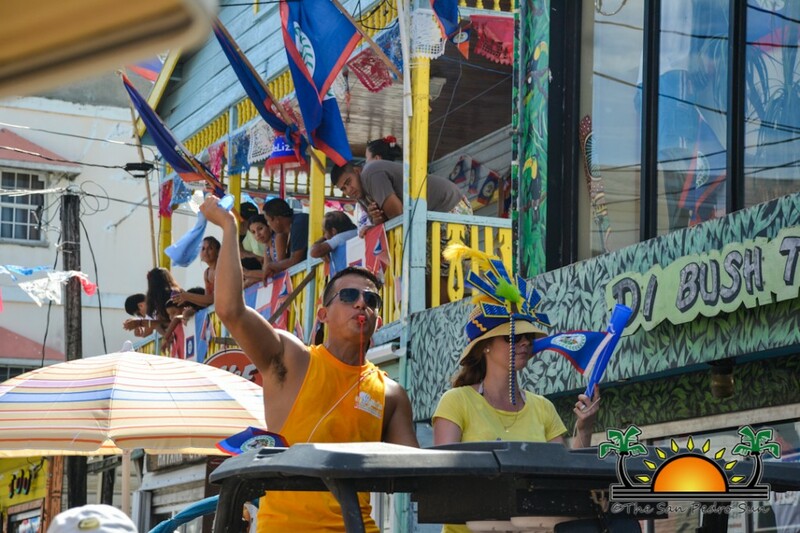 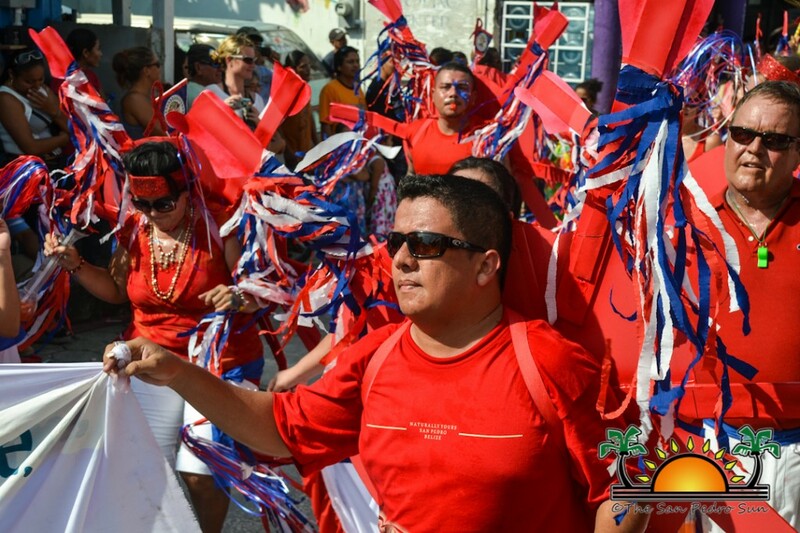 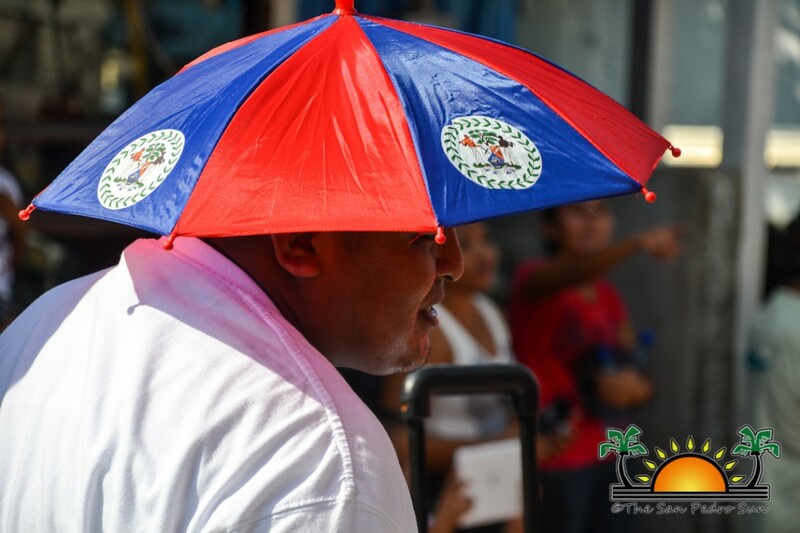 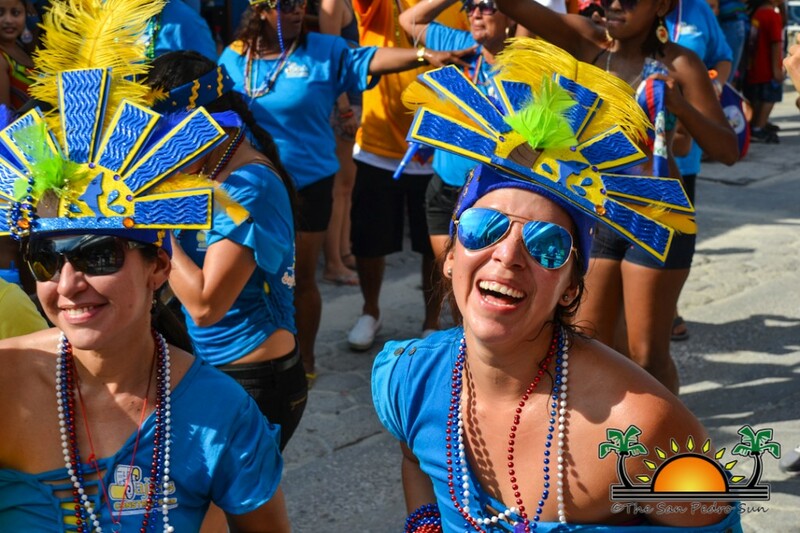 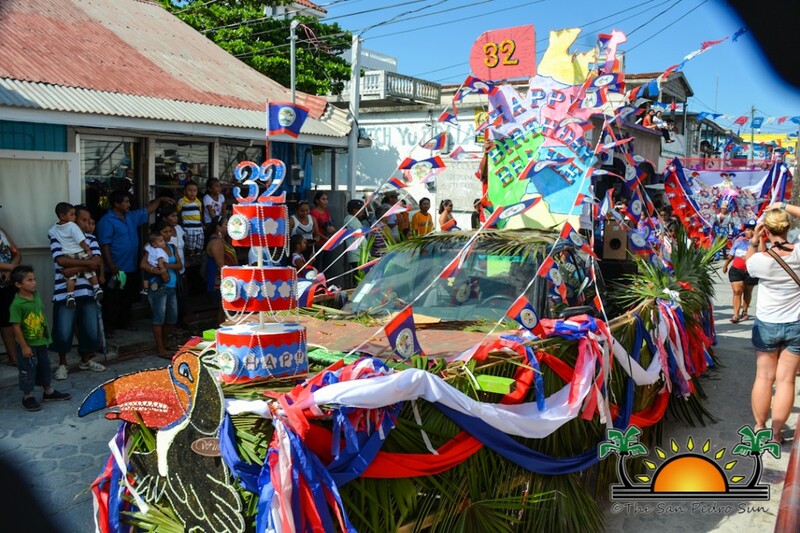 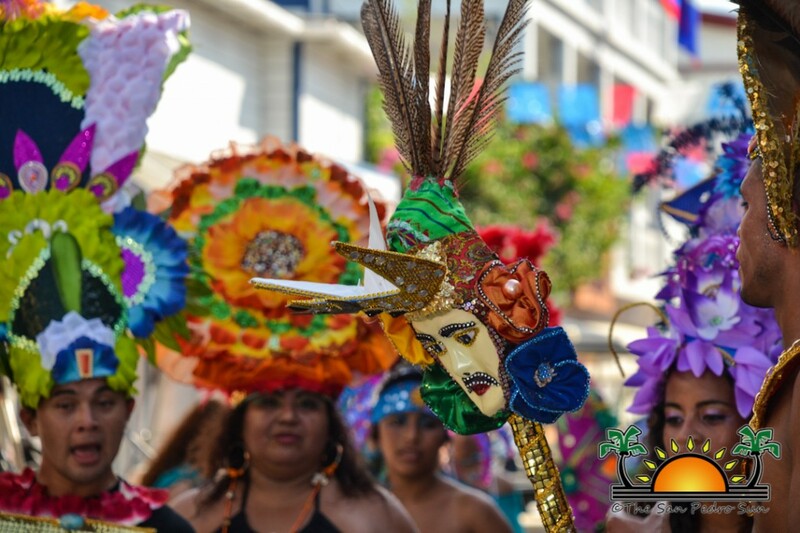 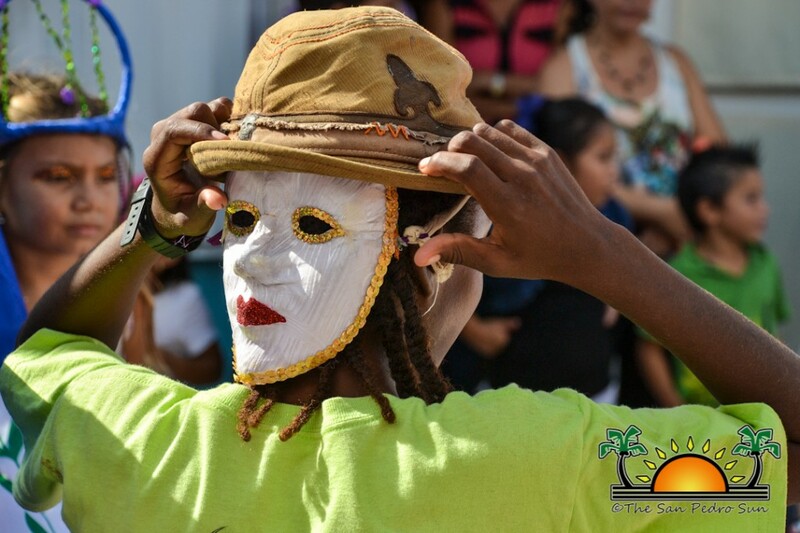 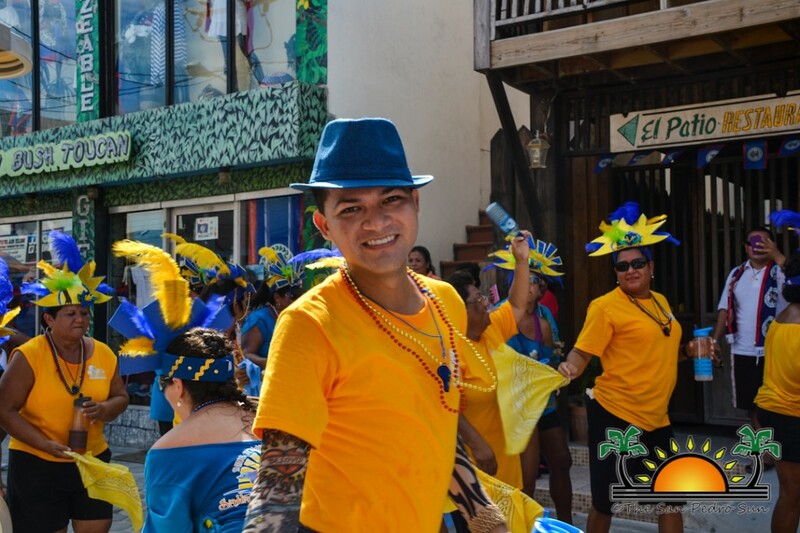 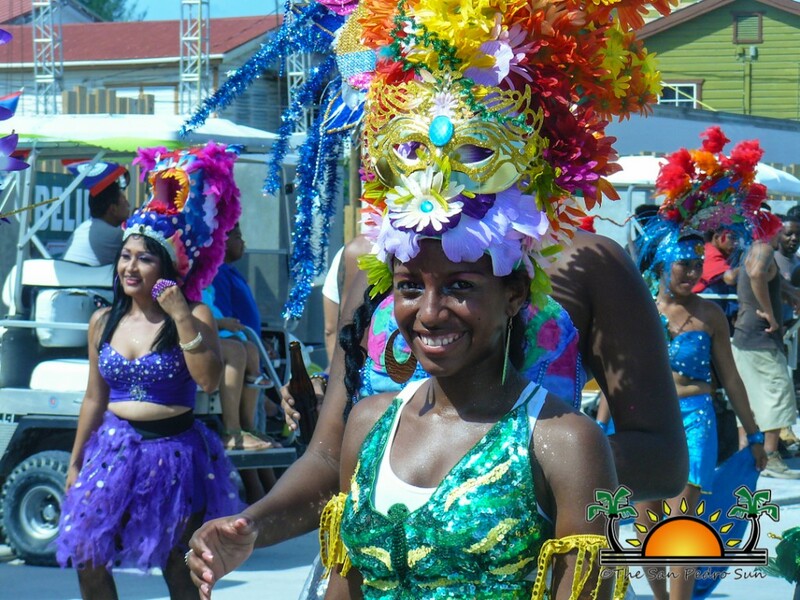 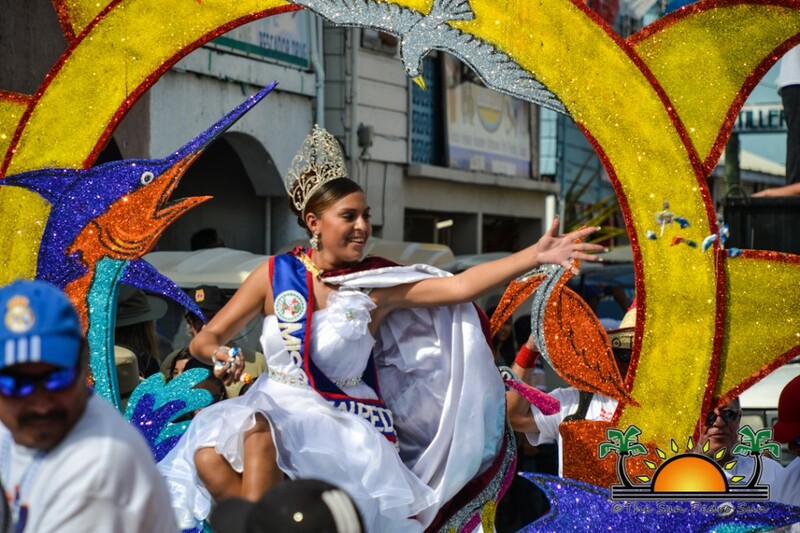 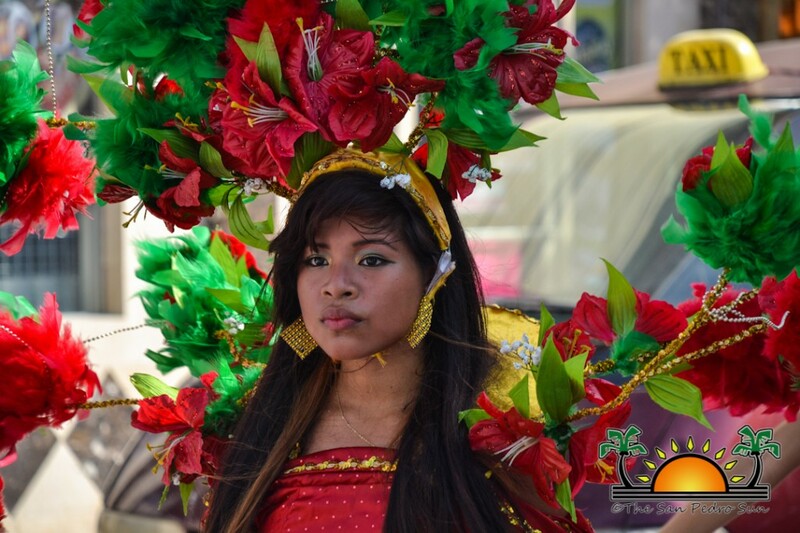 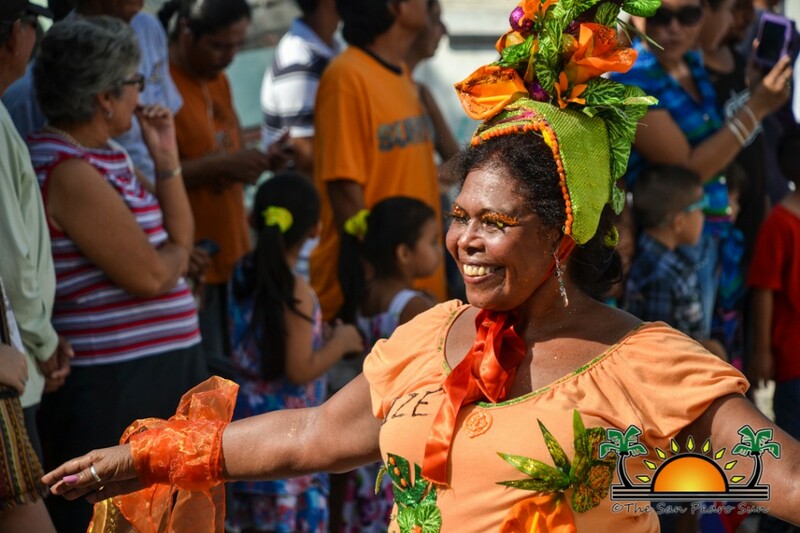 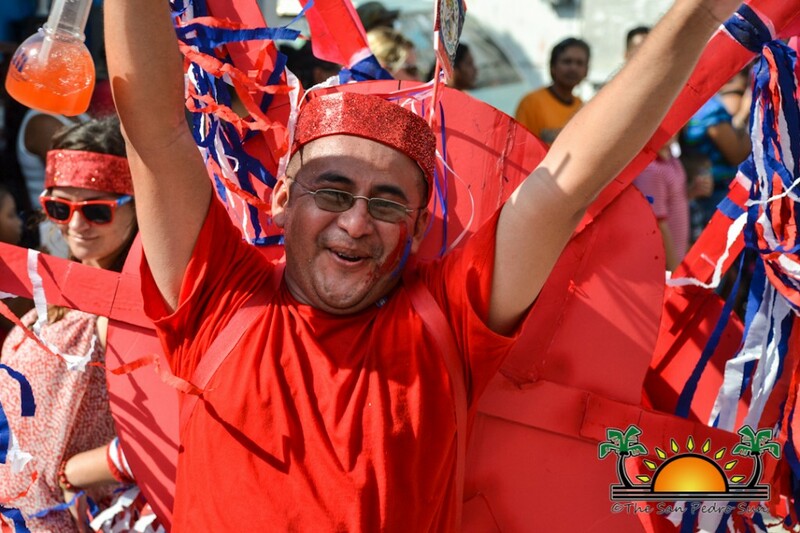 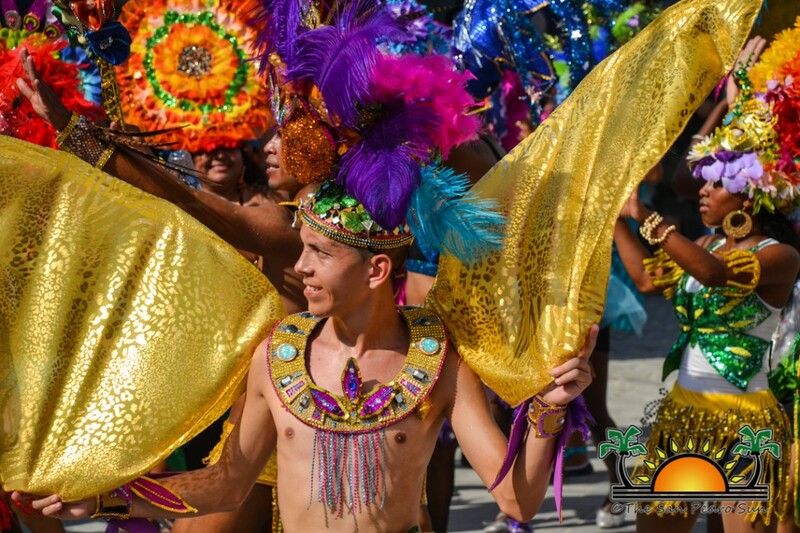 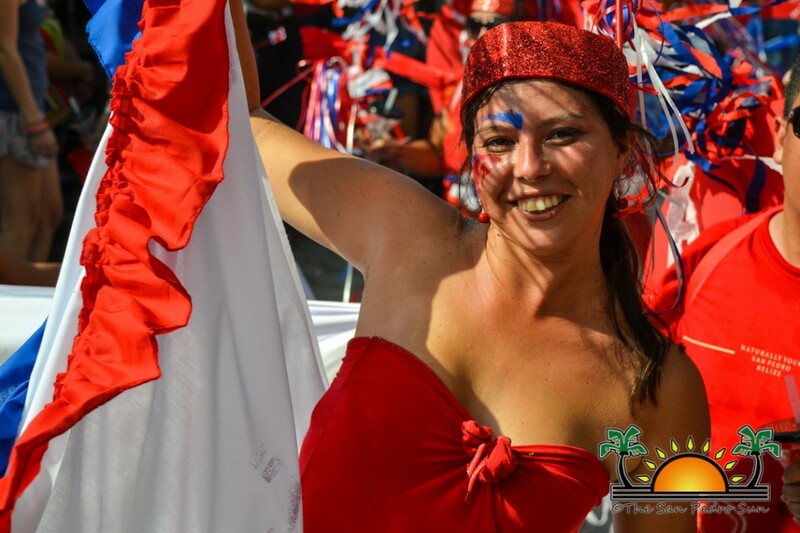 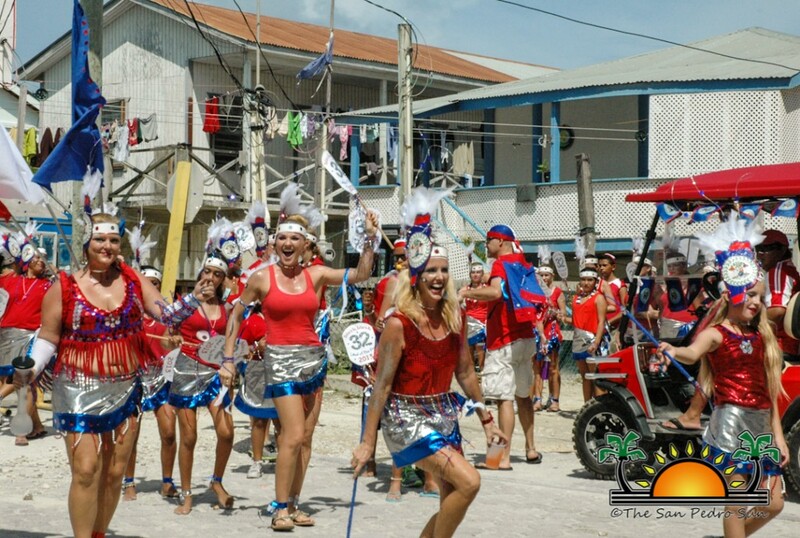 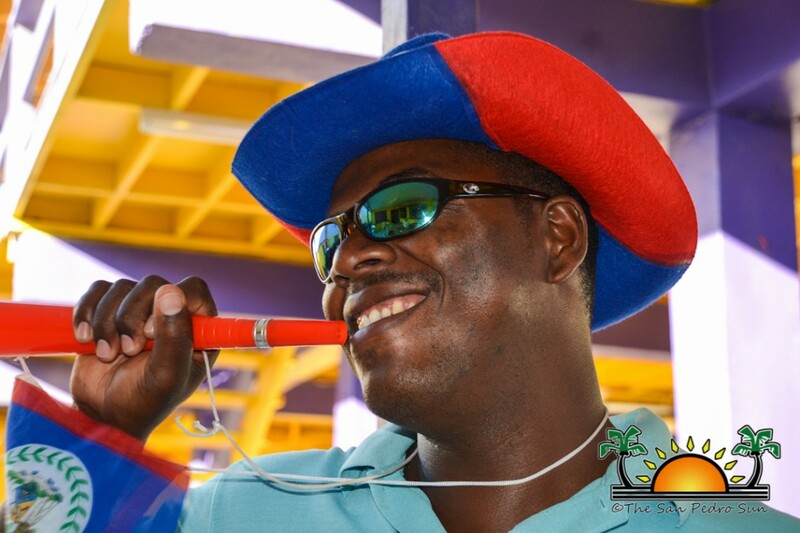 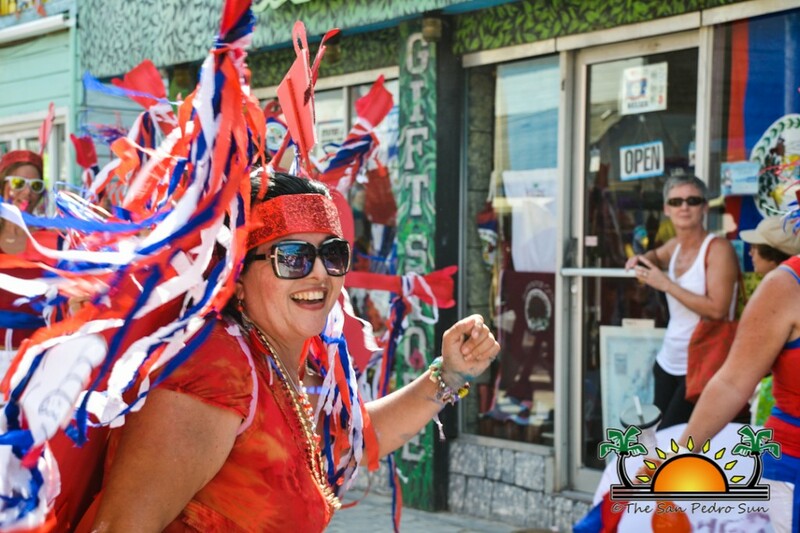 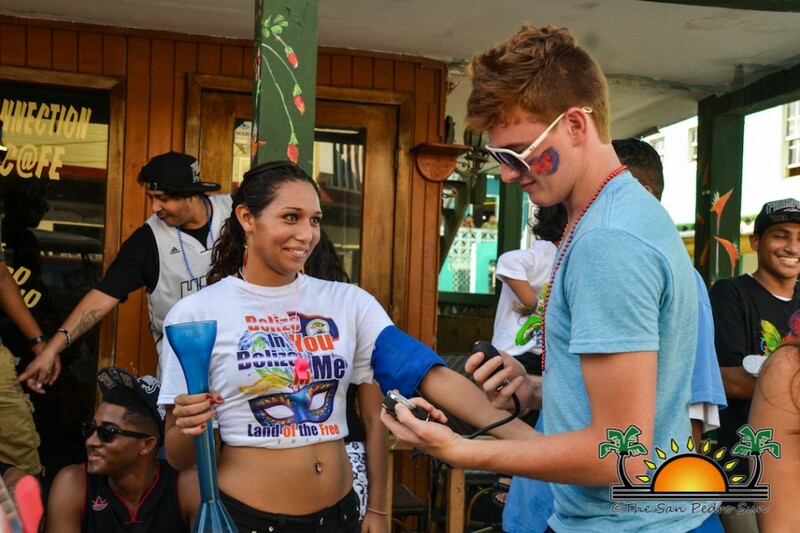 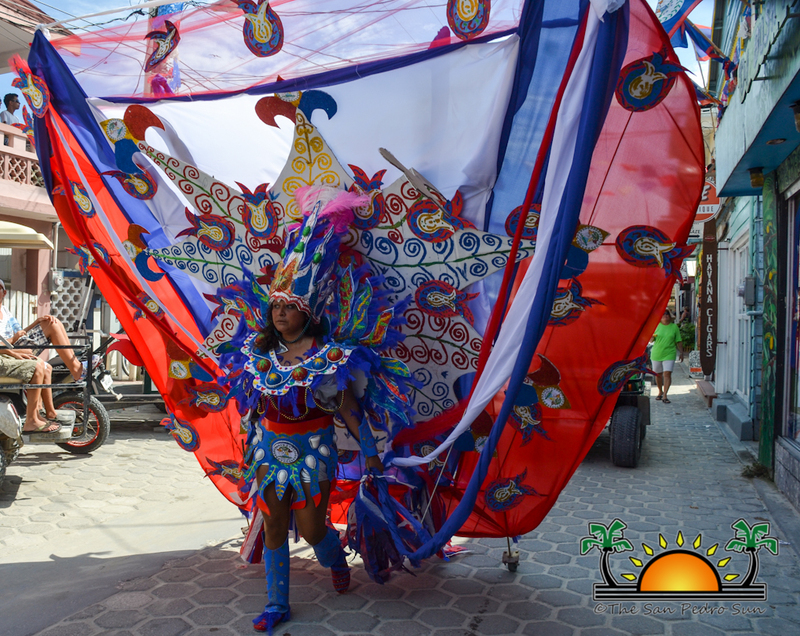 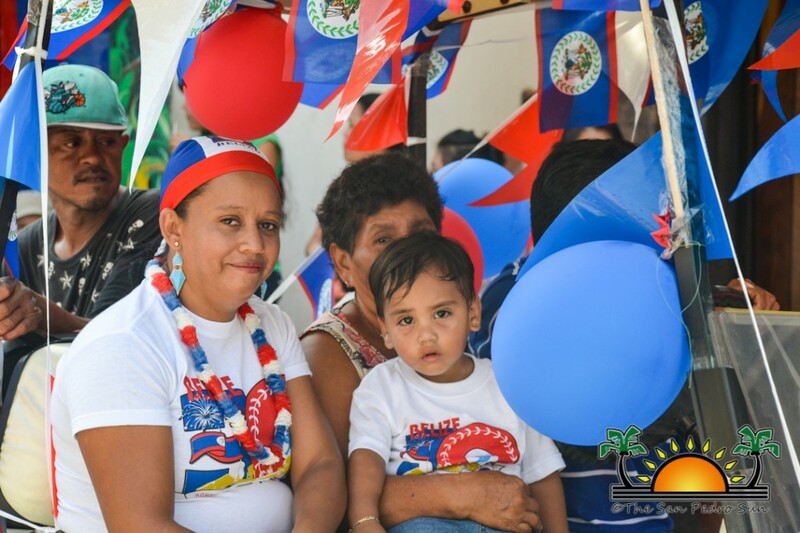 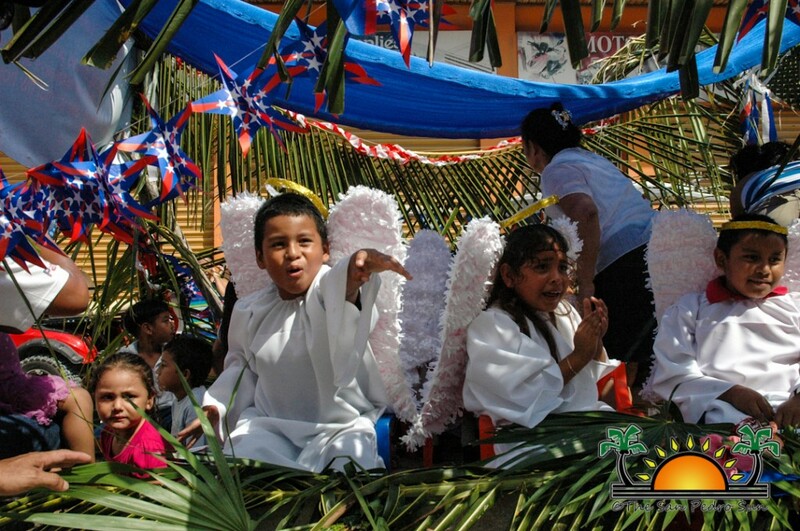 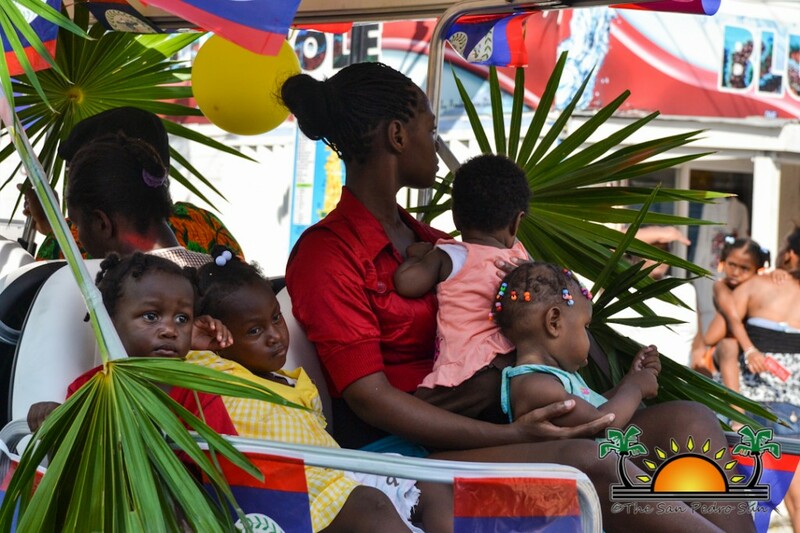 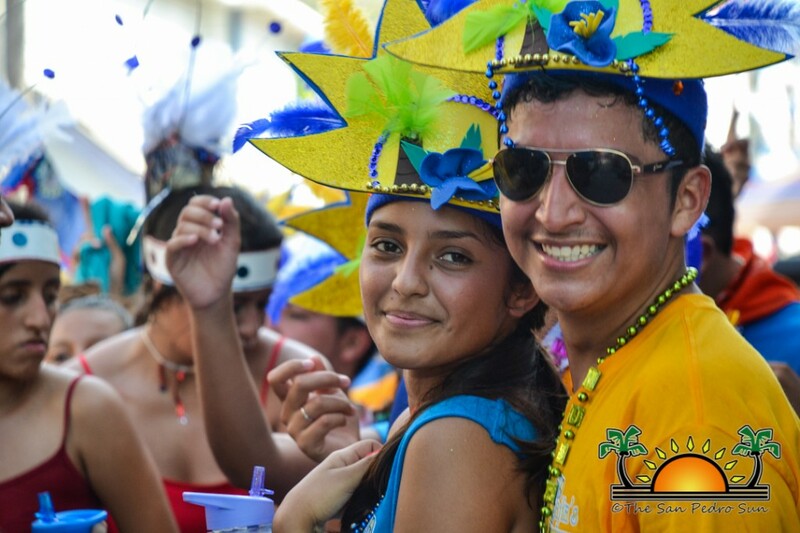 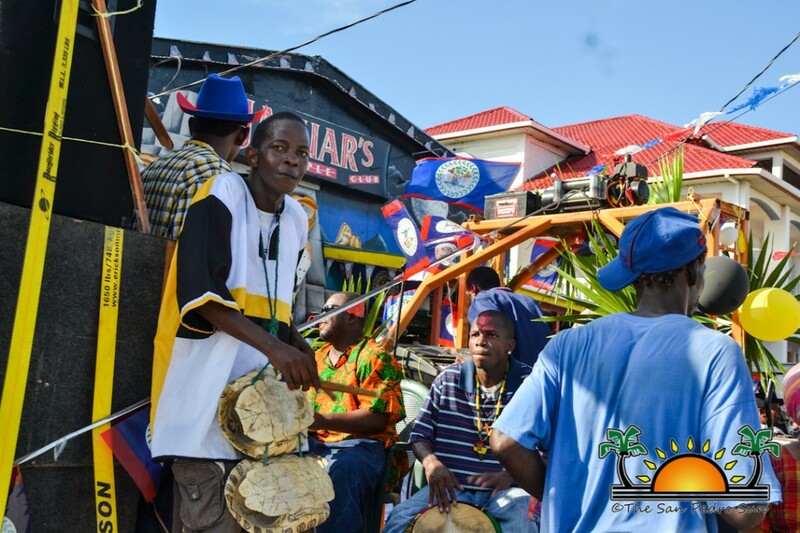 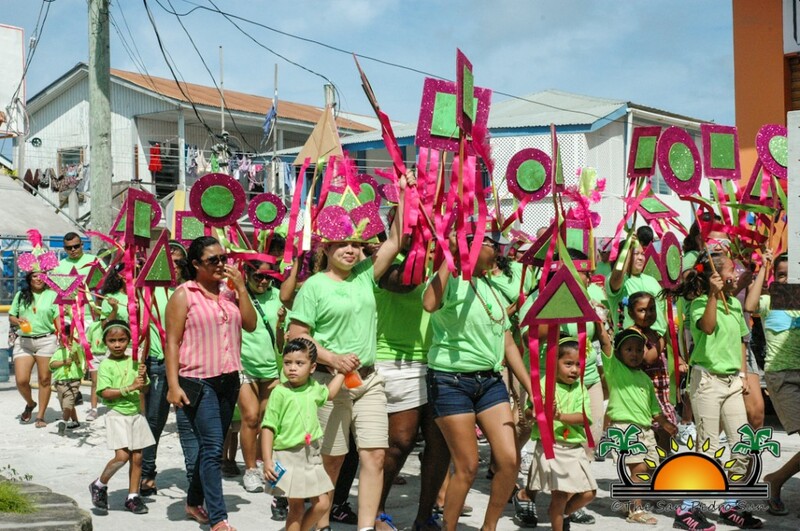 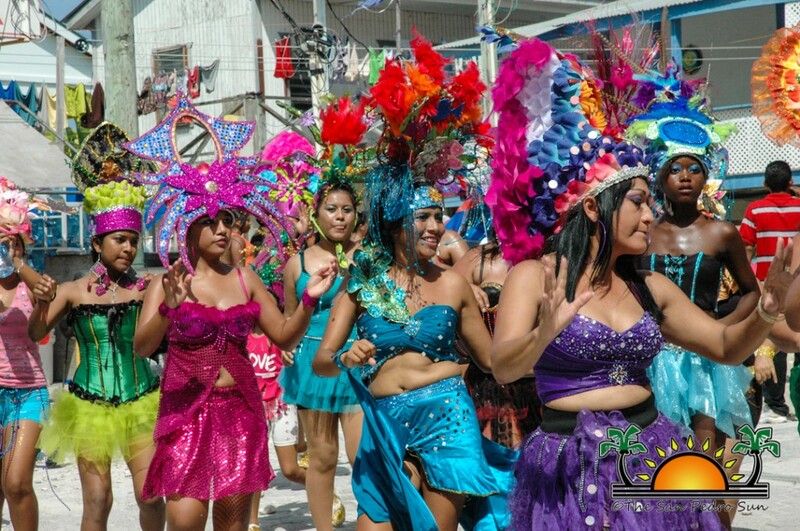 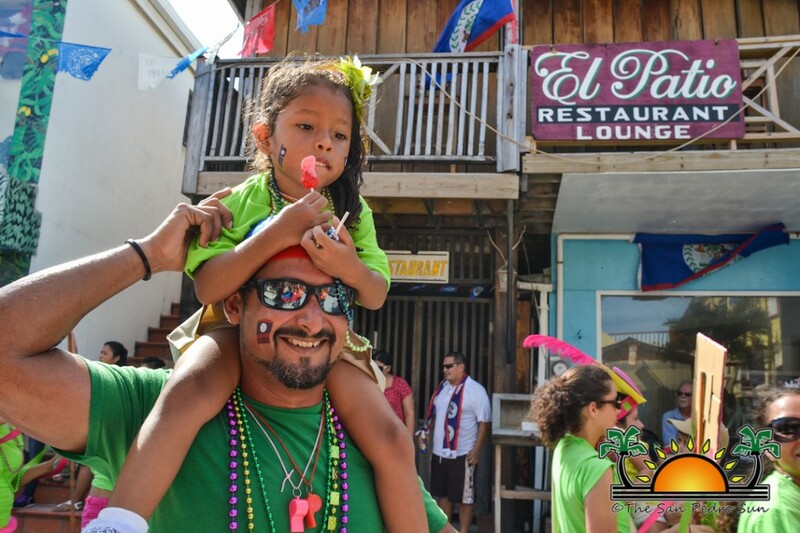 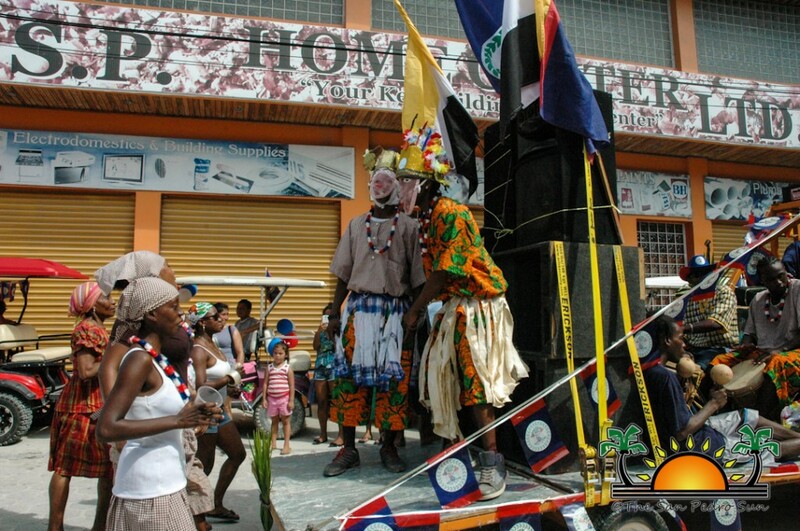 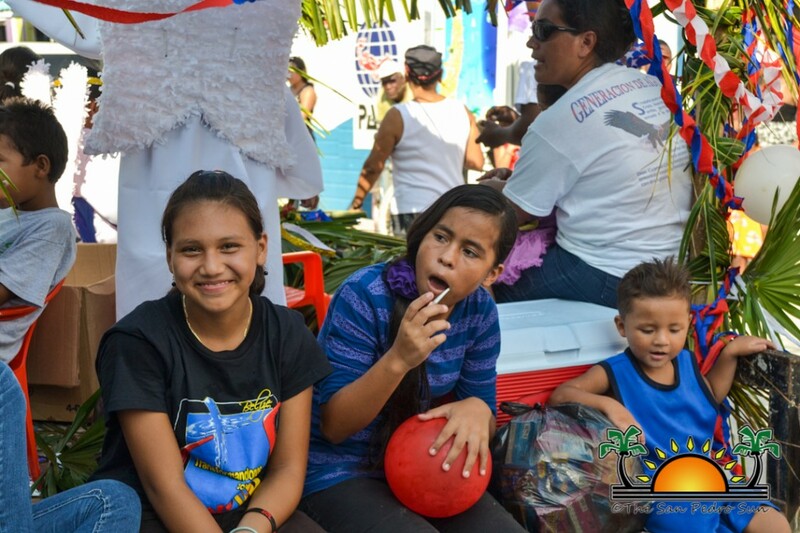 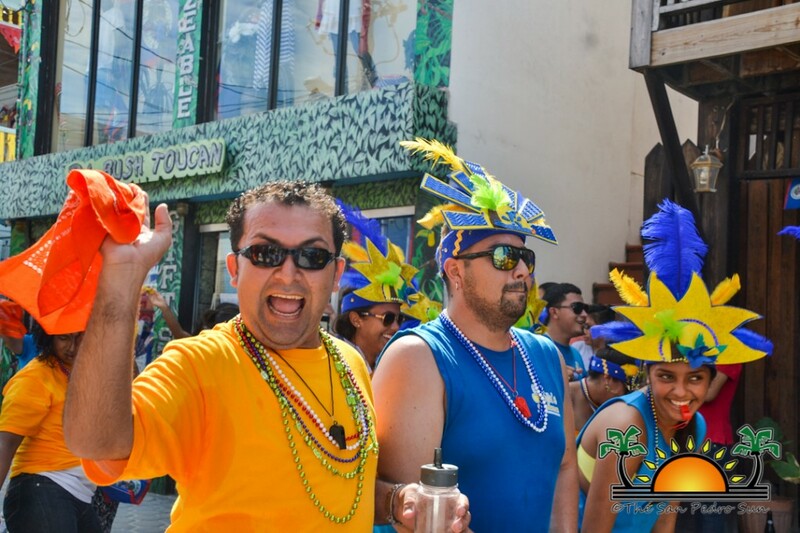 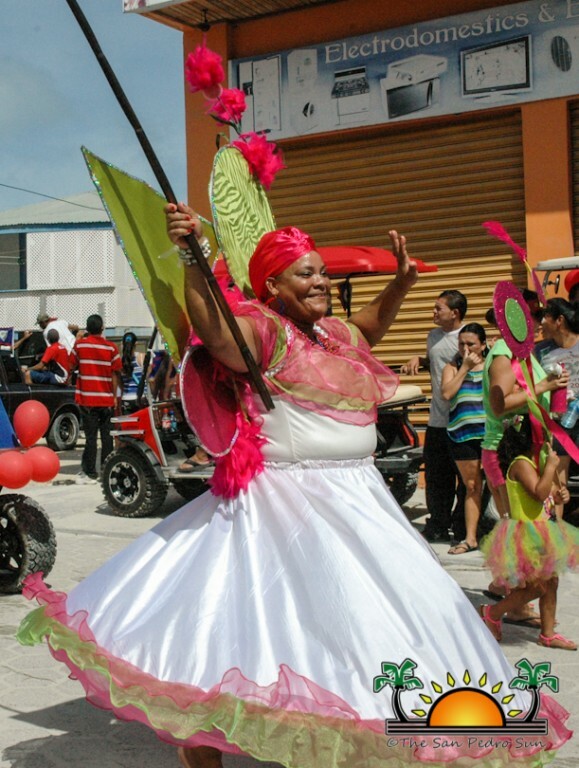 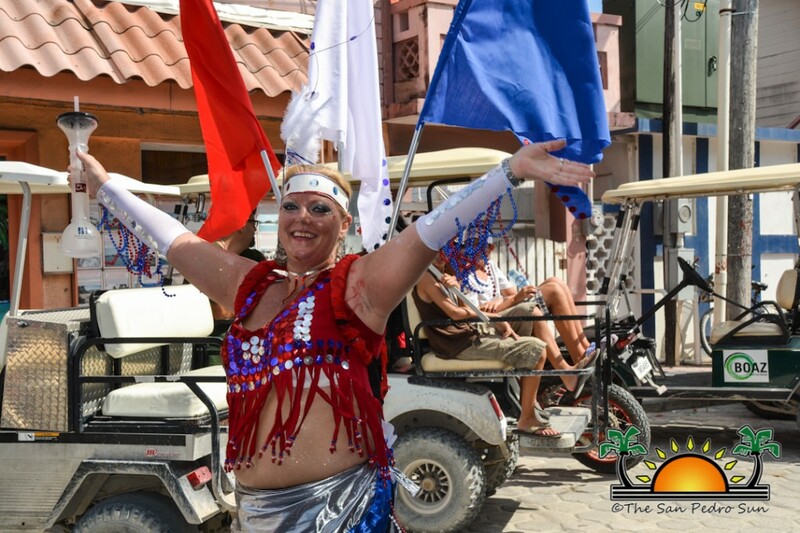 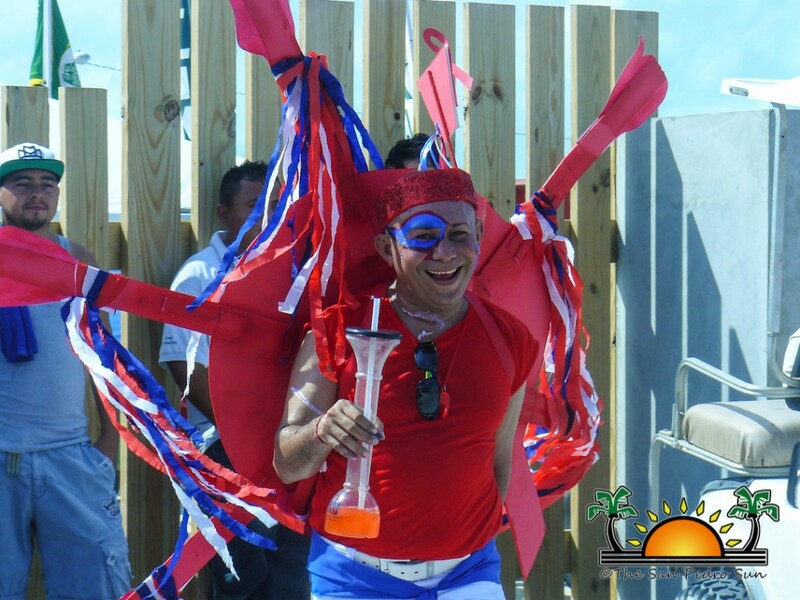 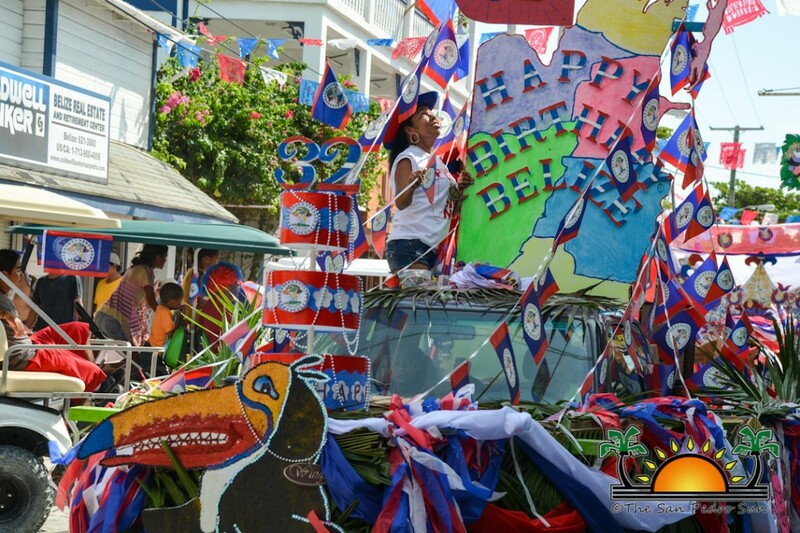 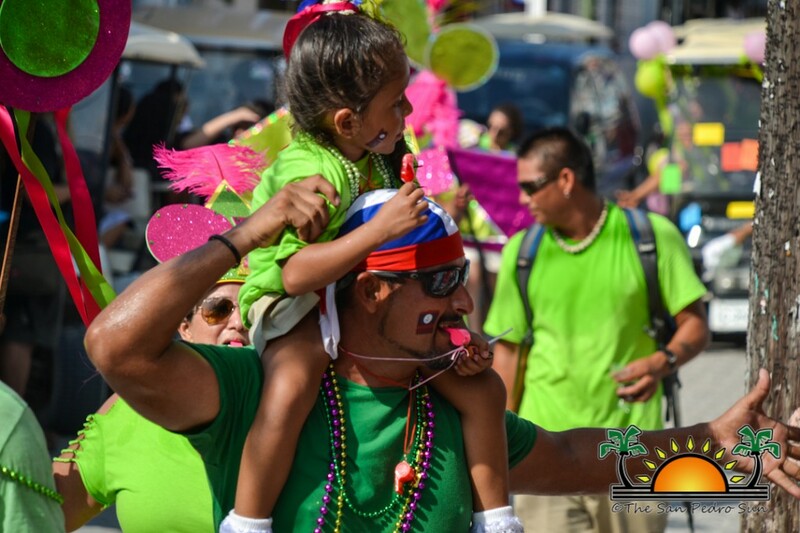 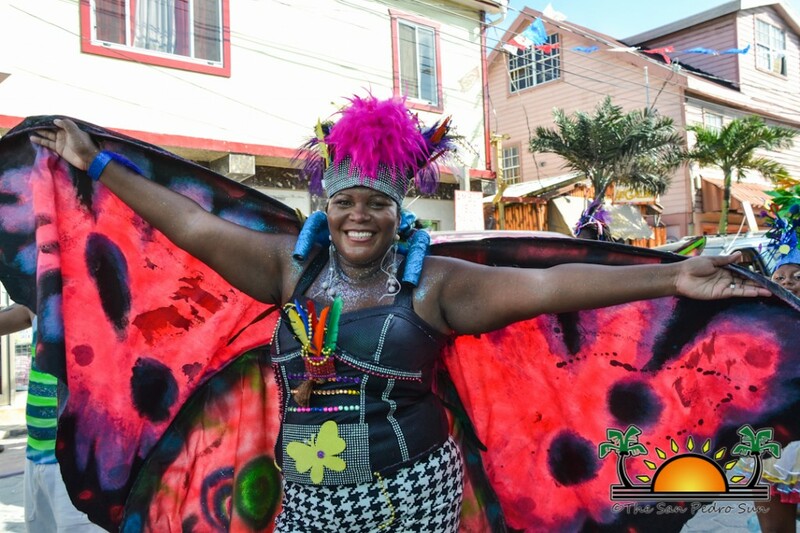 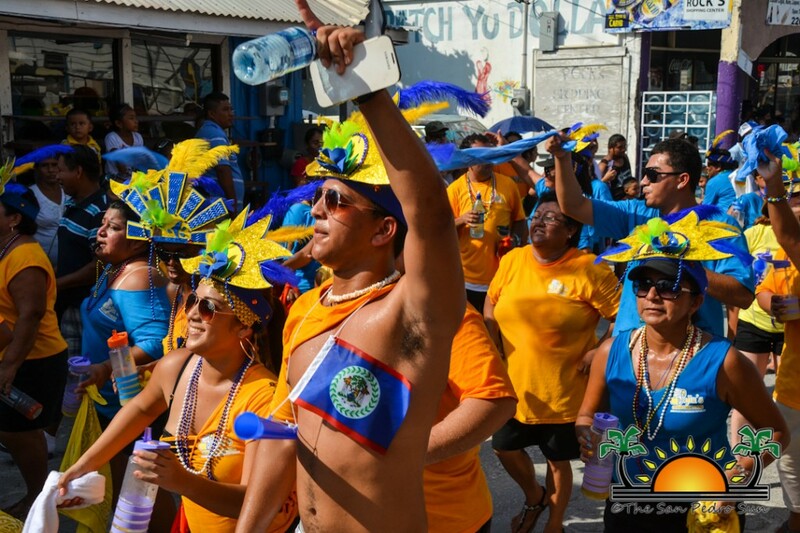 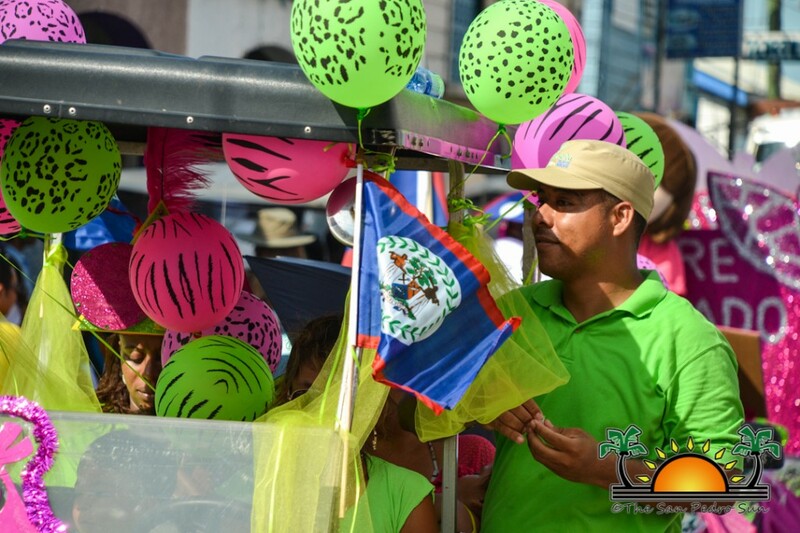 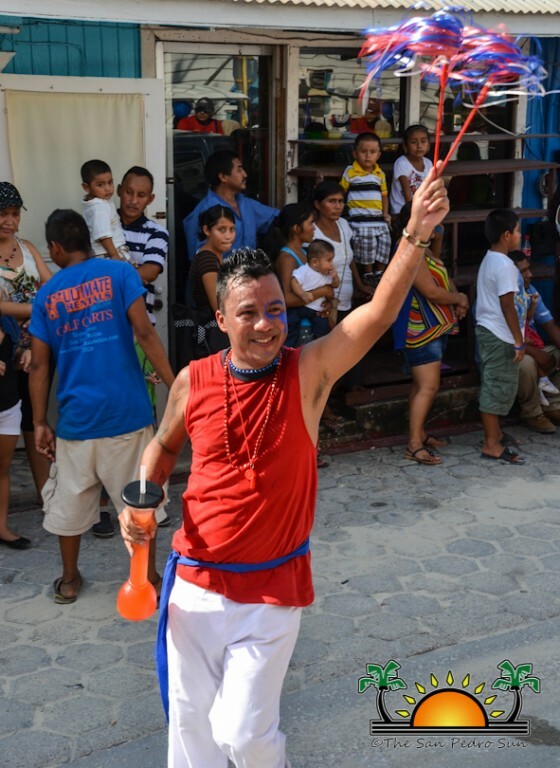 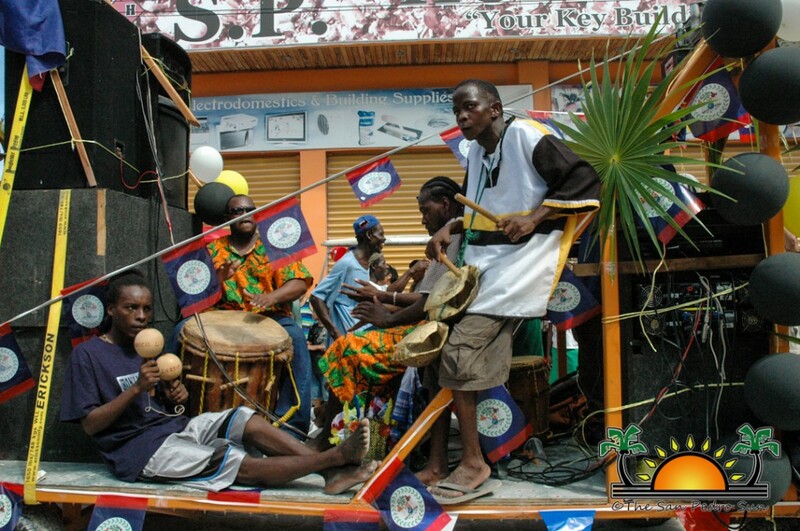 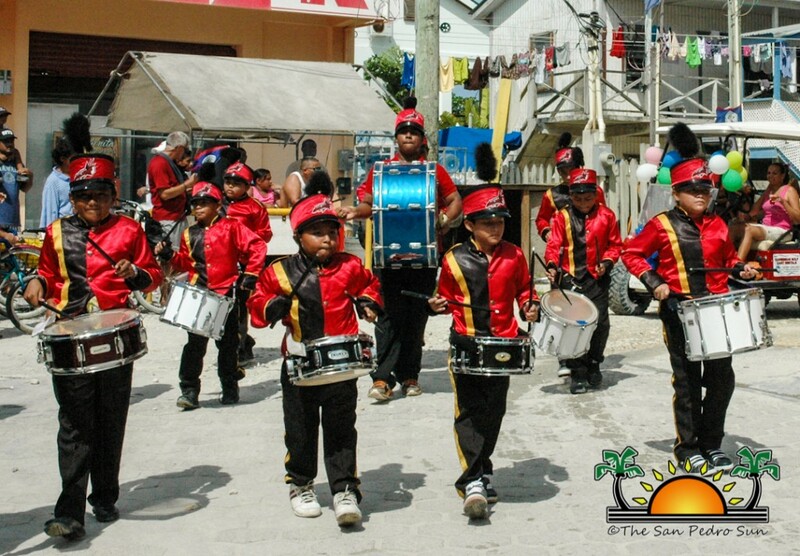 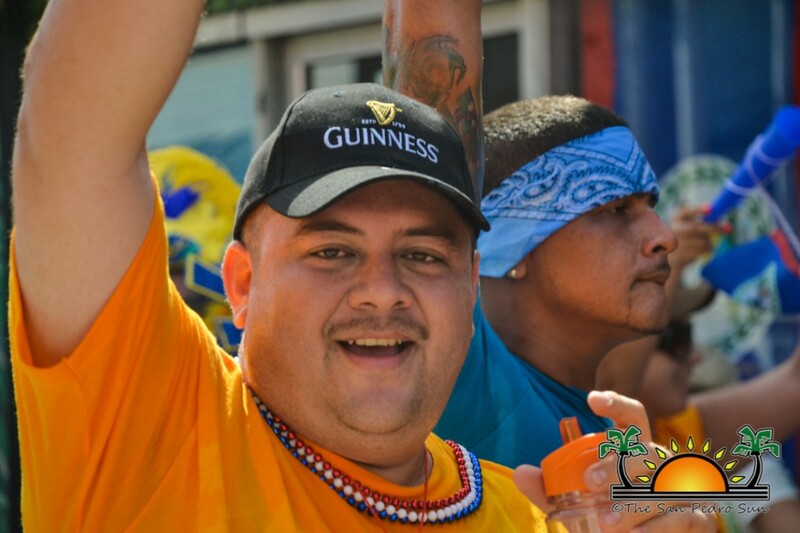 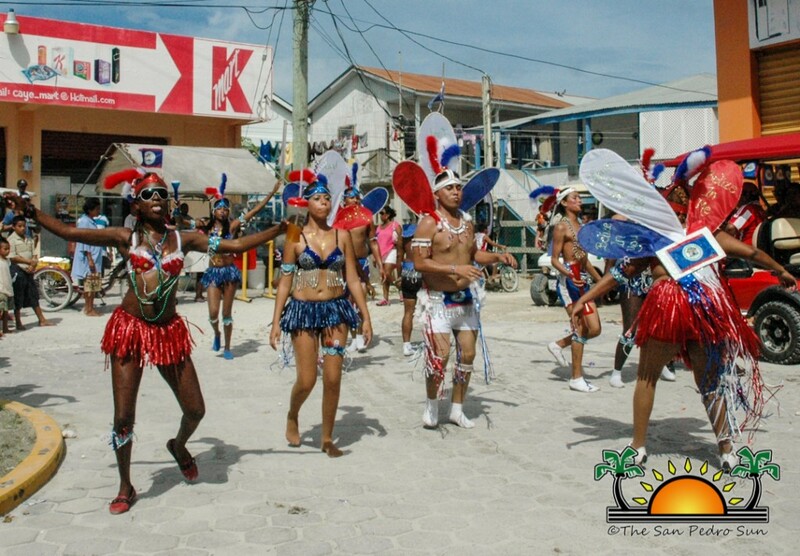 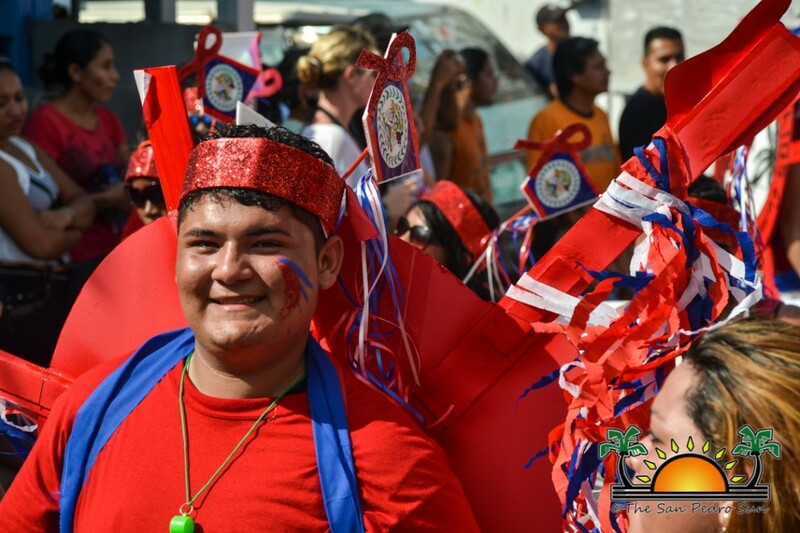 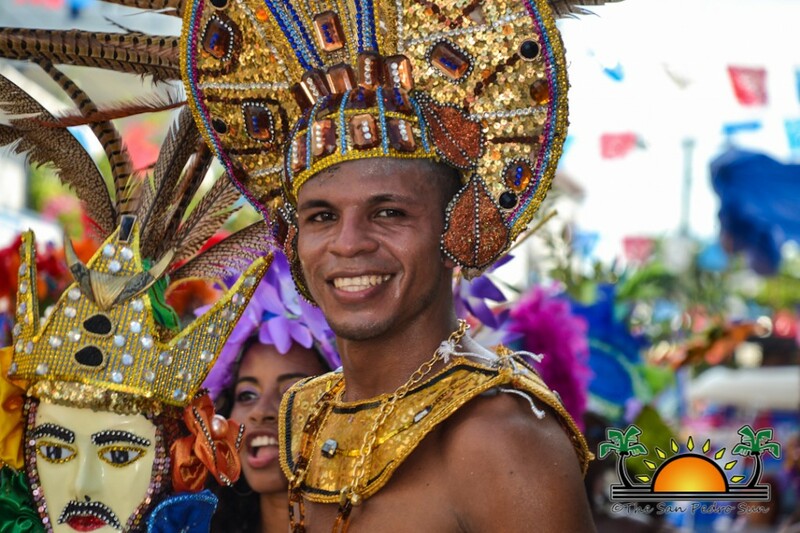 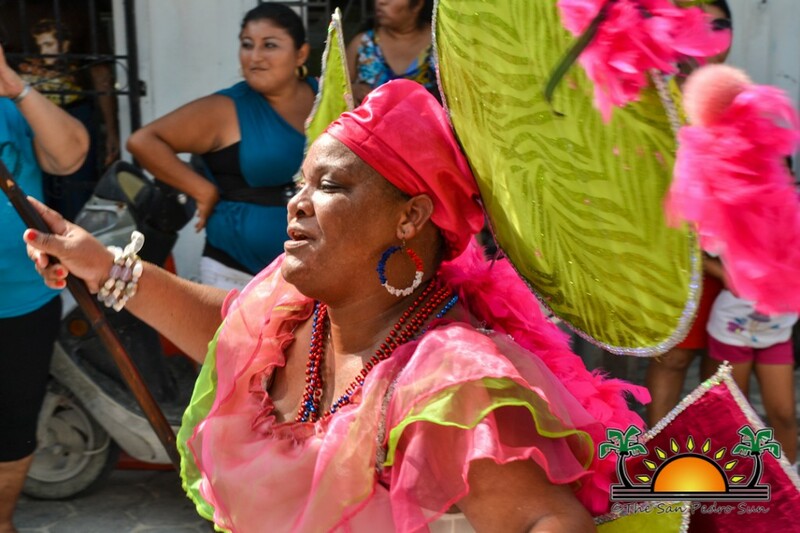 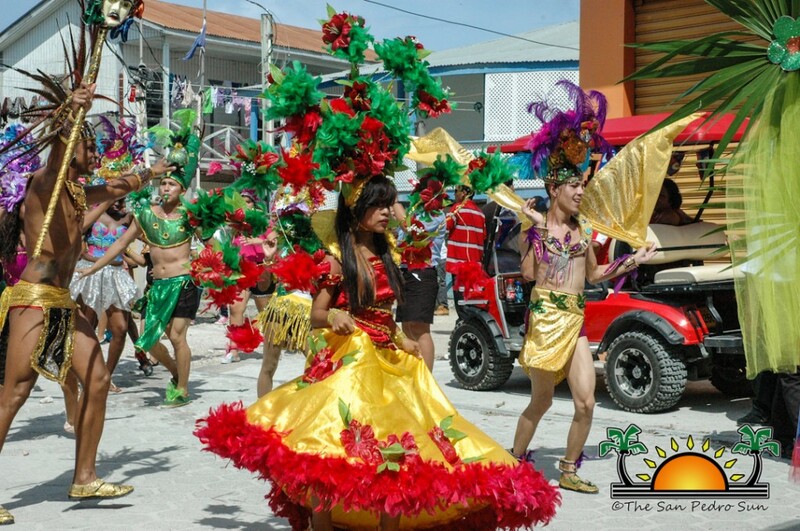 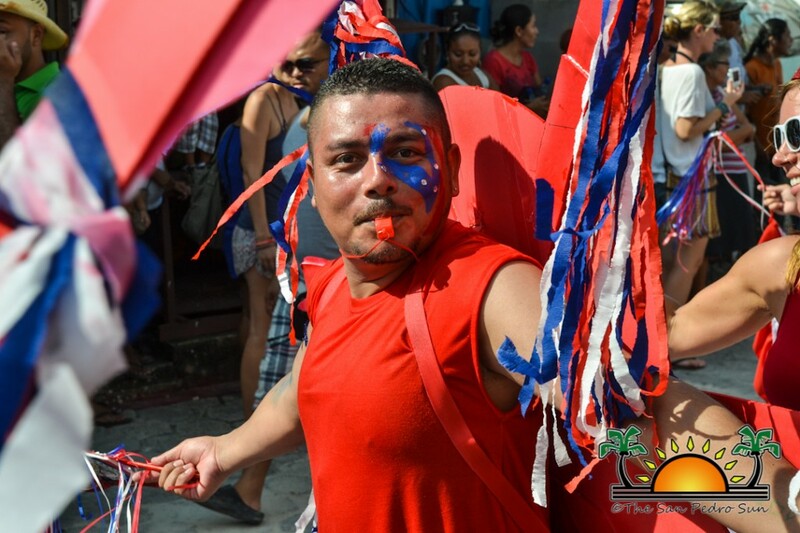 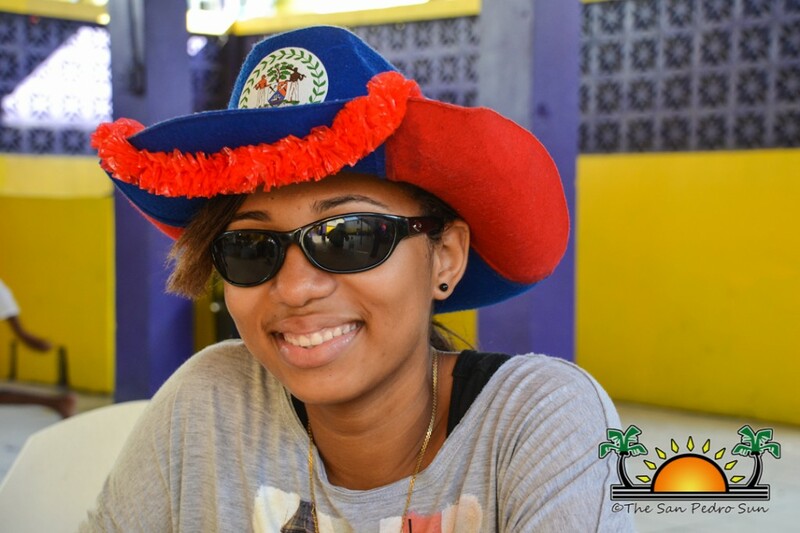 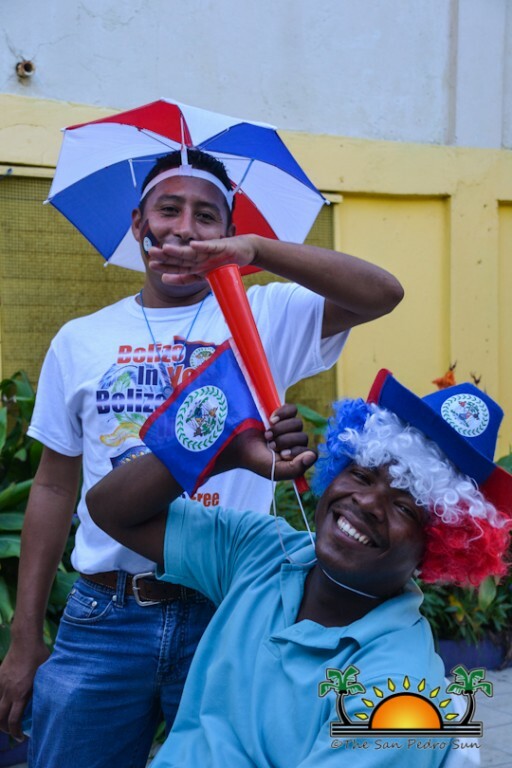 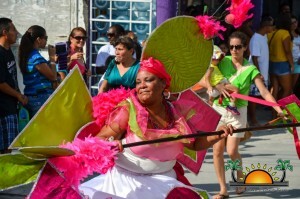 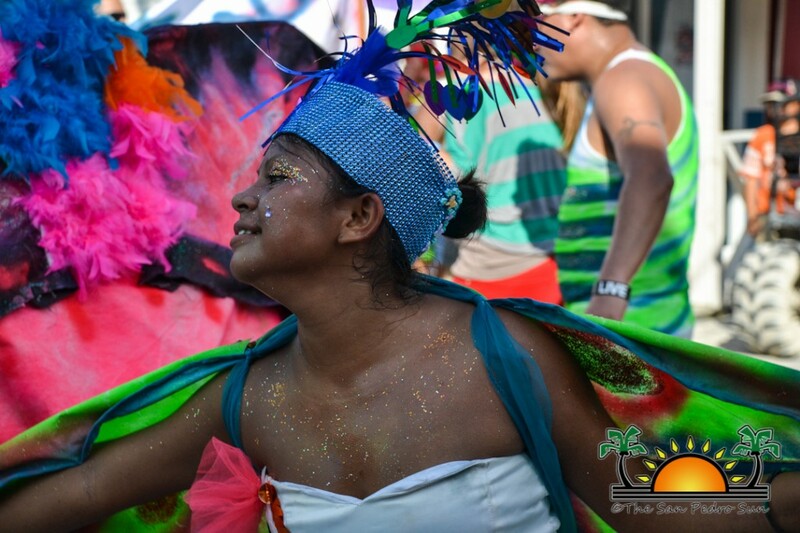 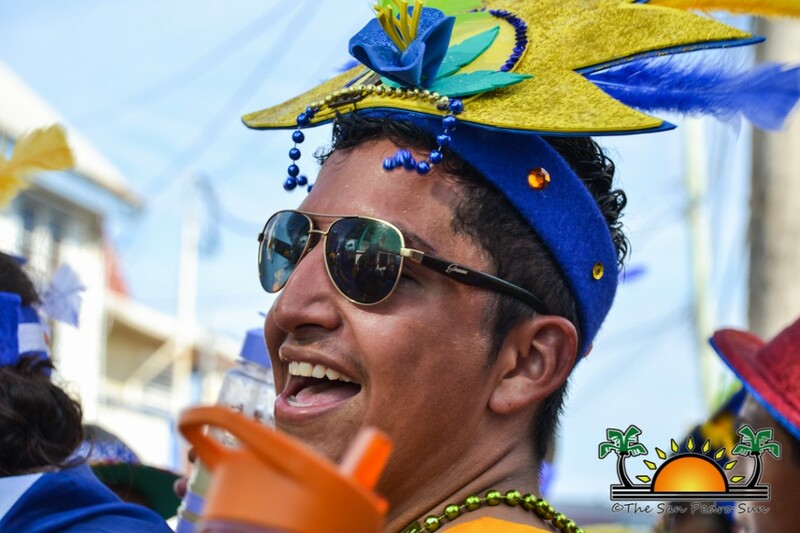 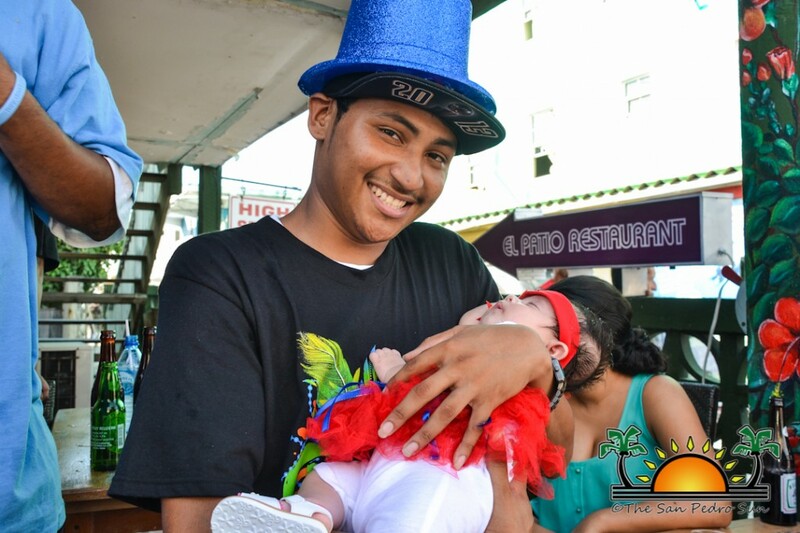 Excitement and cheer are displayed in a parade of colors and Belizean pride every 21st of September. 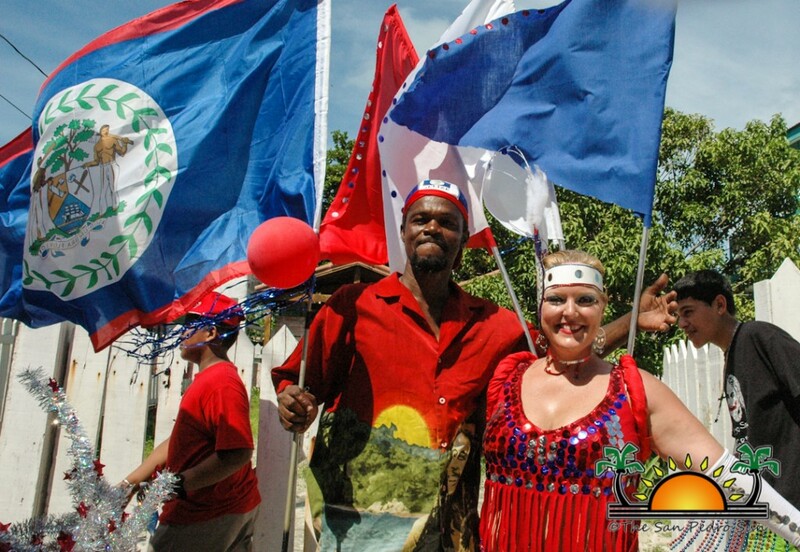 After the formalities of the Independence Eve, the jump up is a joyous celebration of patriotism. 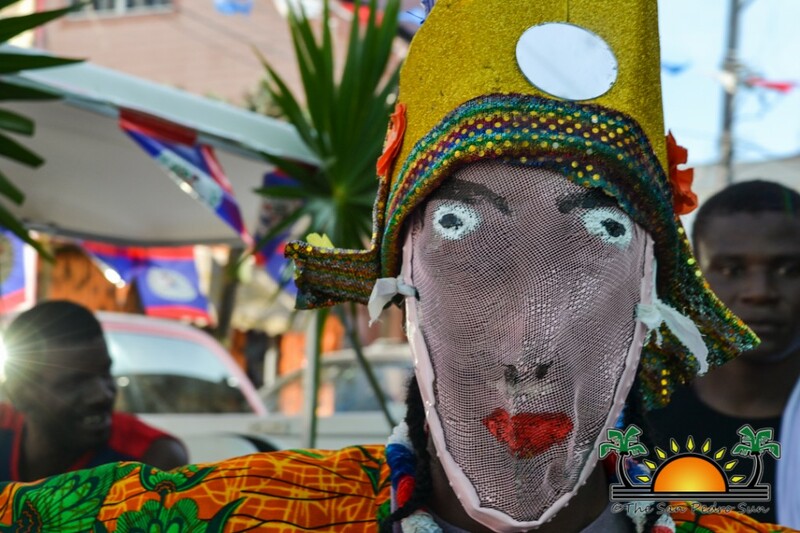 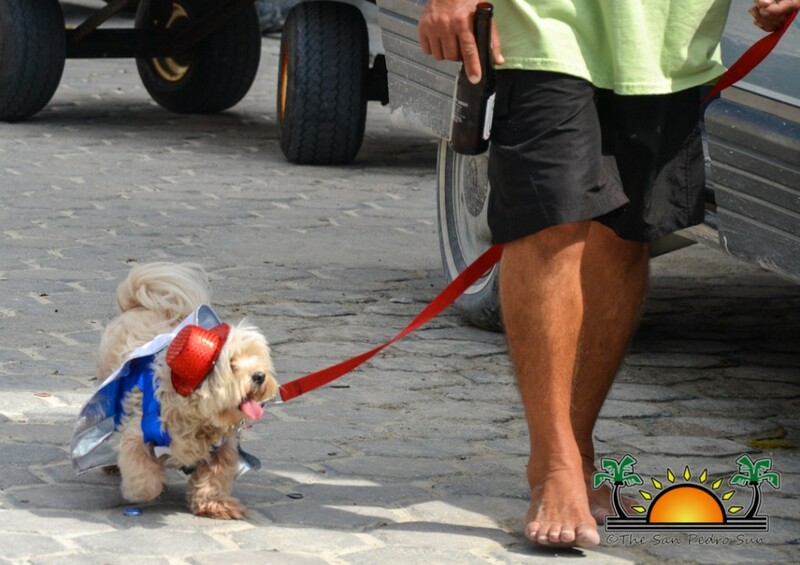 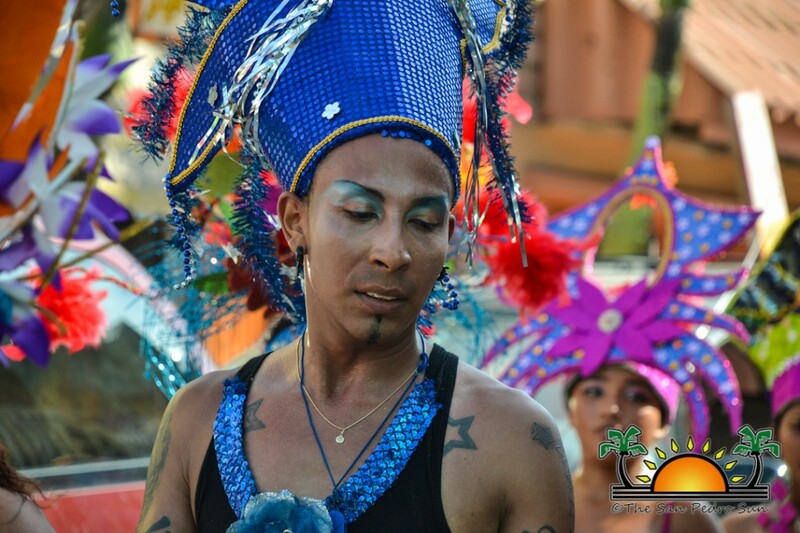 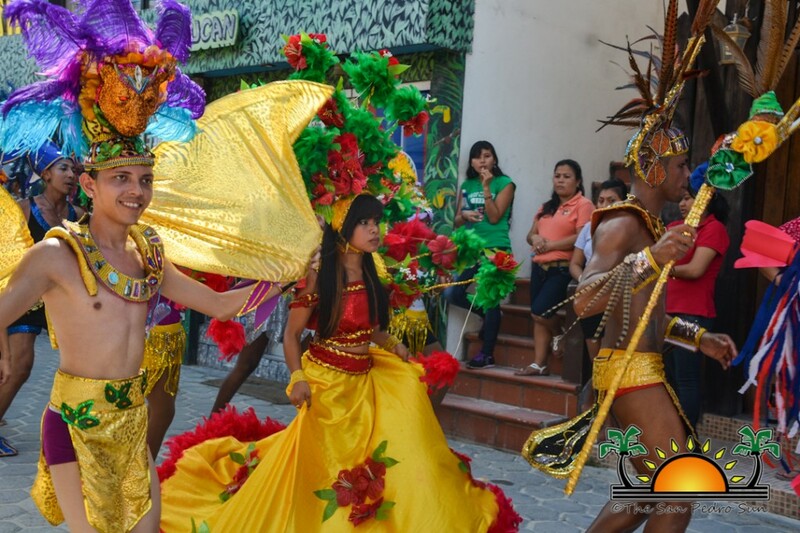 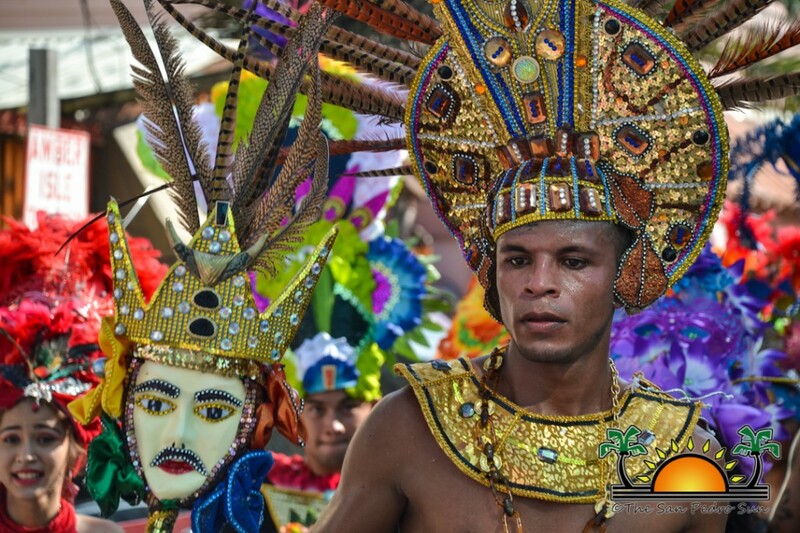 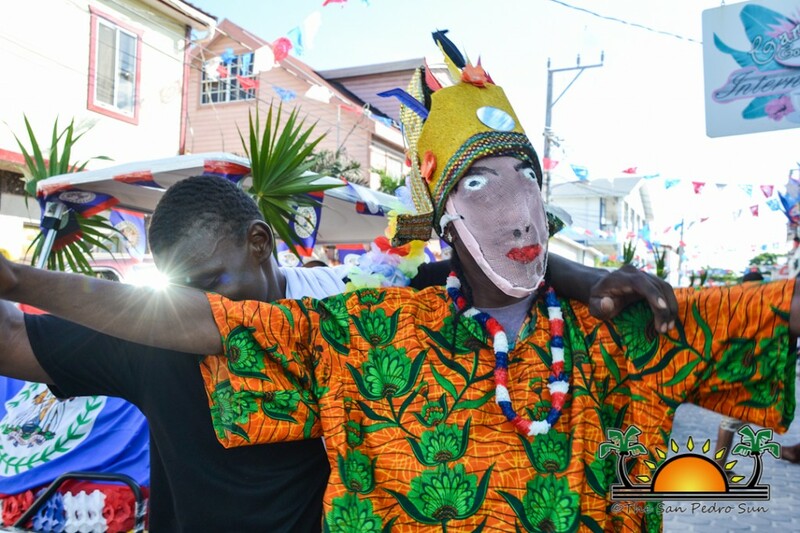 In San Pedro Town, elaborate costumes adorned the streets as the jump-up crowd made their way through the town streets. 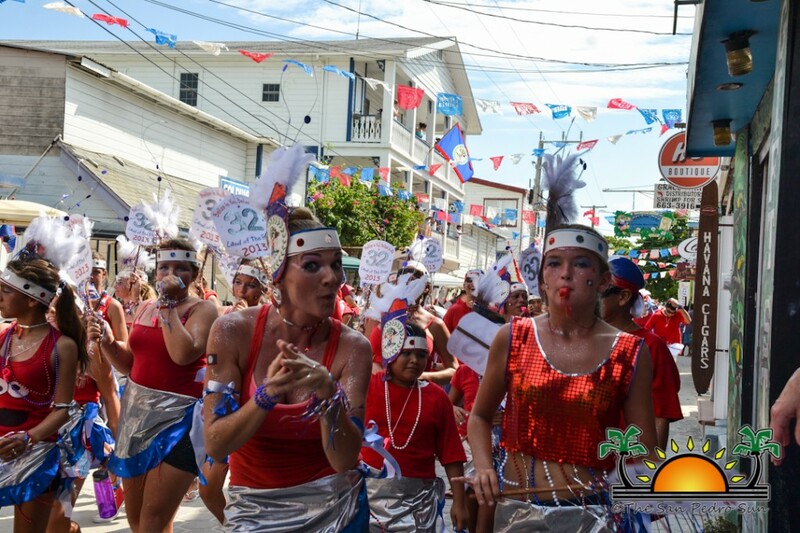 The 32nd Independence Day parade route was set to start from the beach in front of San Pedro High School and make its way into town central and ending up at Central Park. 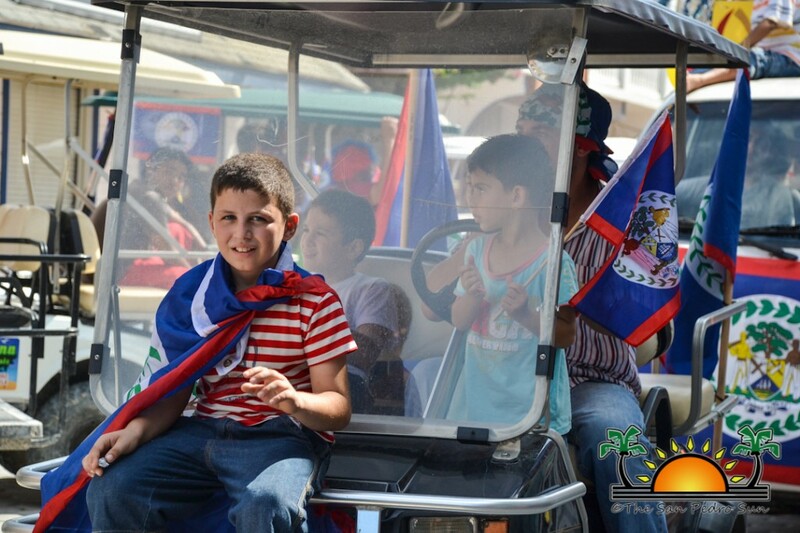 Residents of all ages crowded the street sides of the parade route from early, to ensure they got a good viewing spot. 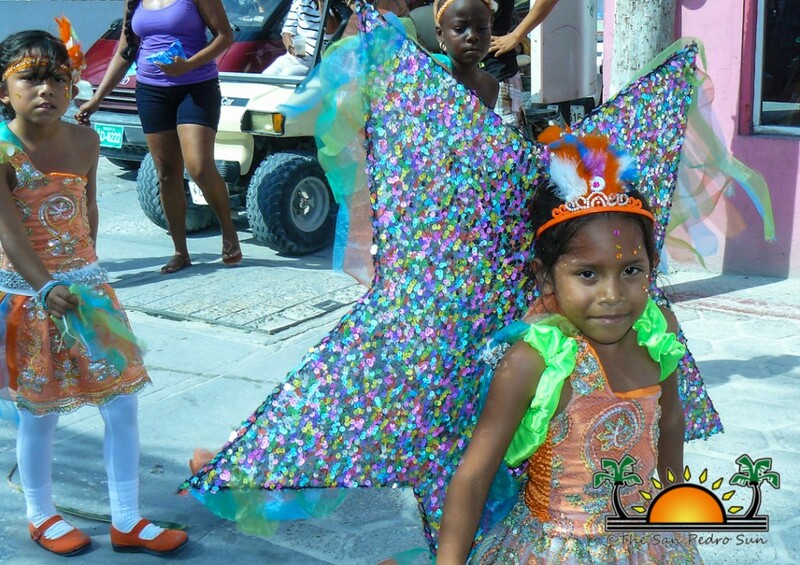 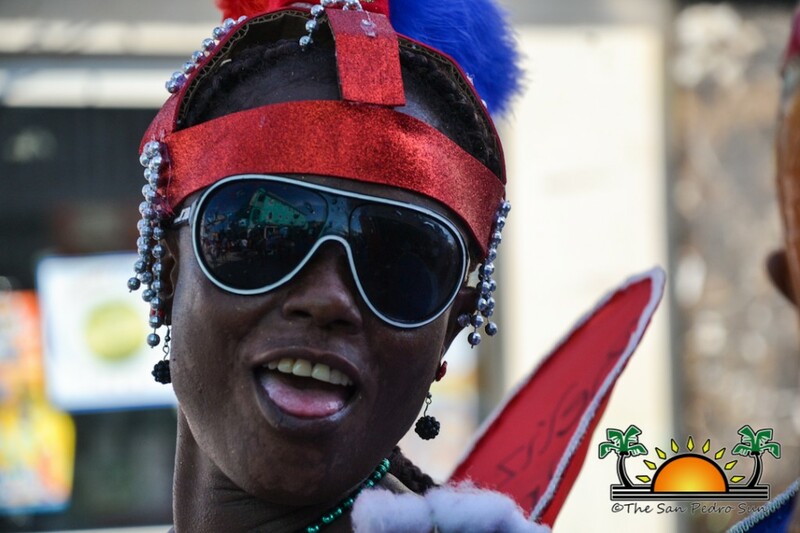 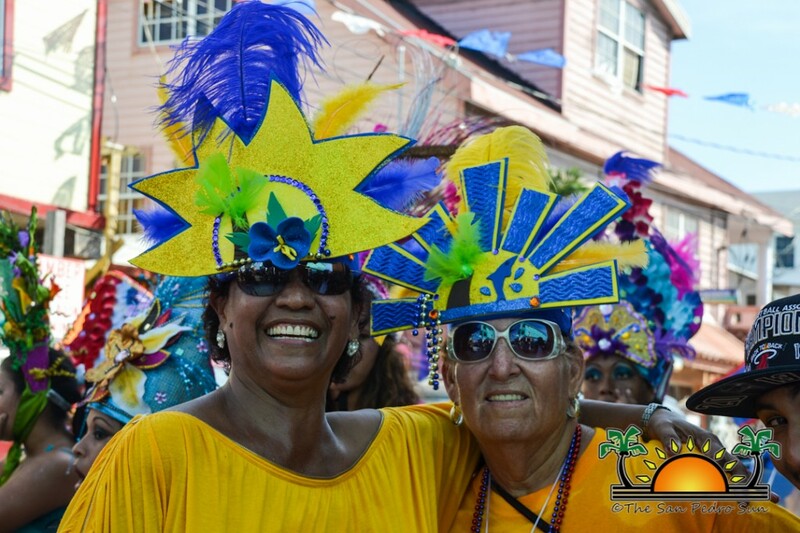 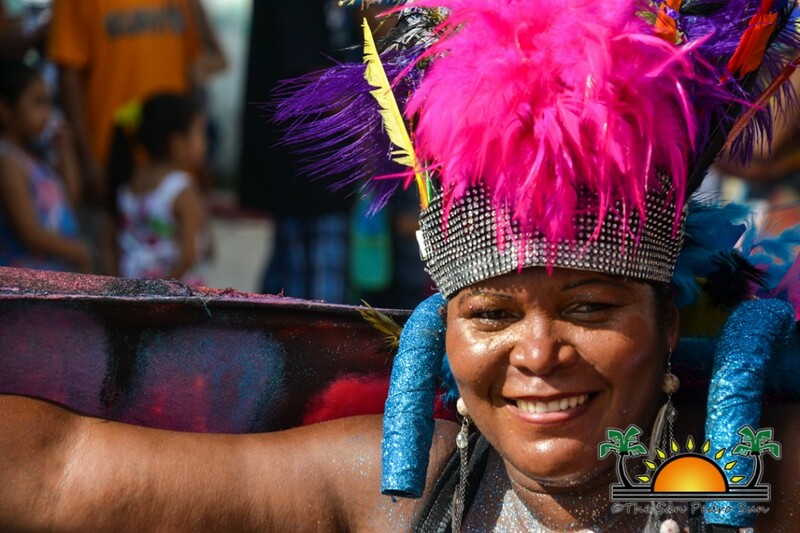 The parade kicked off shortly after 1PM, islanders ready to party in the streets adorned with an array of feathers, beads and lots of glitter. 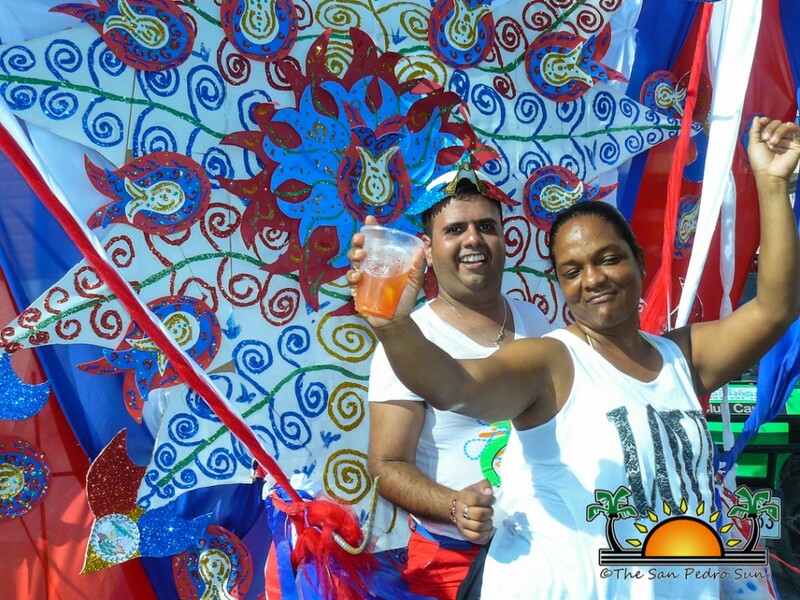 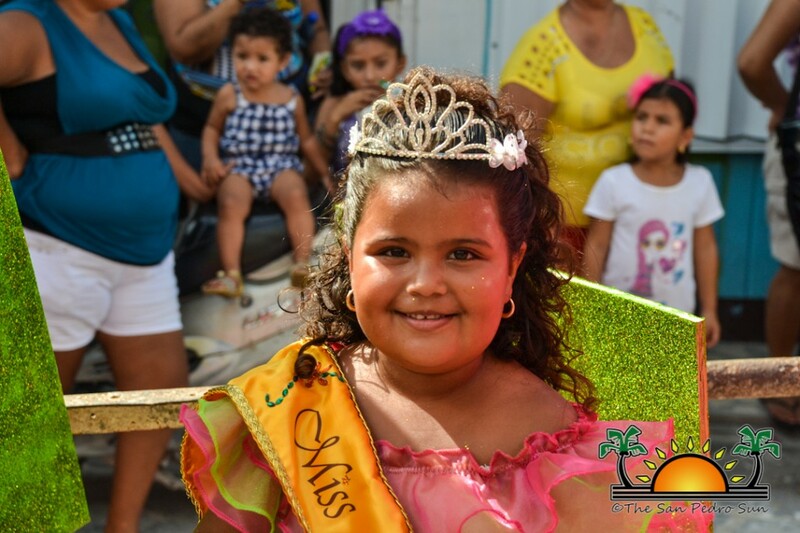 Leading the parade was Miss San Pedro 2013-2014 Solani Graniel in a beautifully decorated float depicting the best Ambergris Caye has to offer: sand, sun and sea. 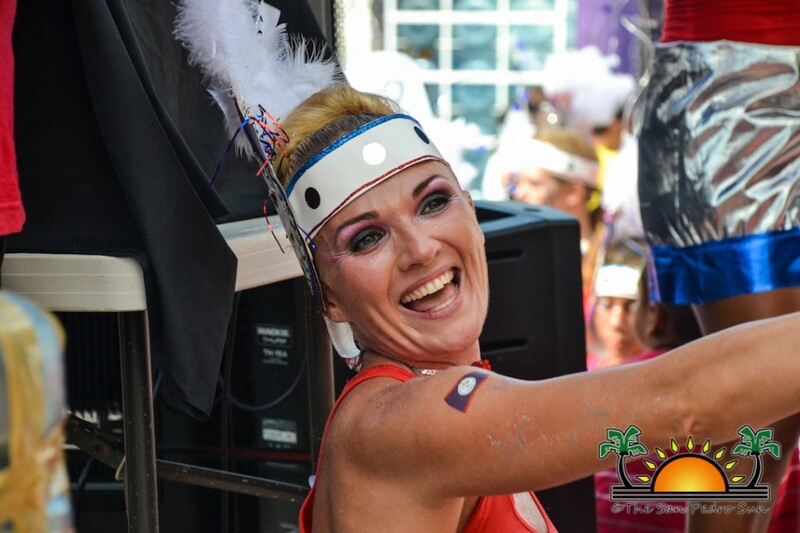 But it was the pumping music that had hearts beating and feat tapping as the jump up vibes entranced spectators to join in the celebration. 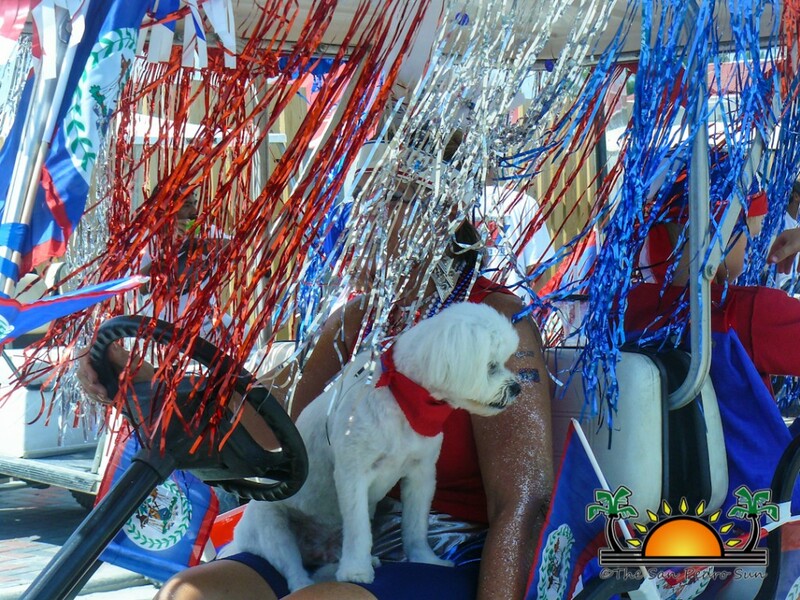 Festively decorated golf carts led the parade spectacle, followed by uniformed pom-pom girls and drummers. 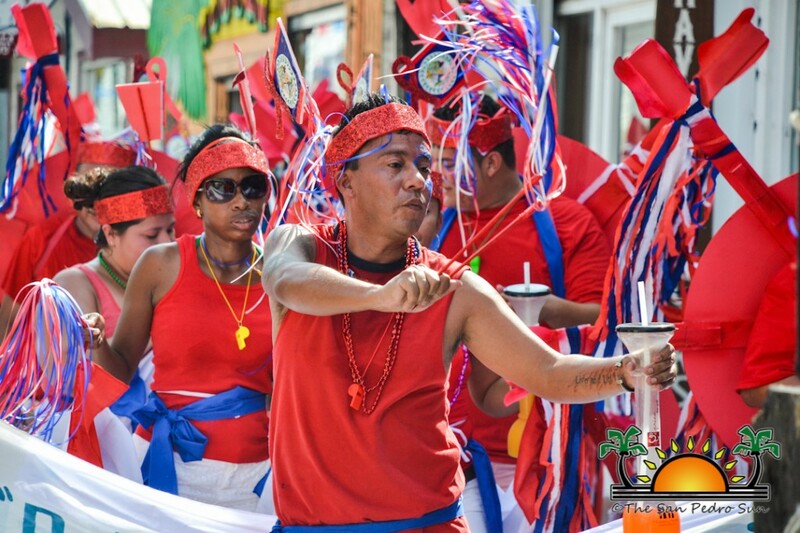 While judges had a hard task deciding the winners of the 2013 parade, what with the exceptional and energetic performance of the groups, they were up to the task. 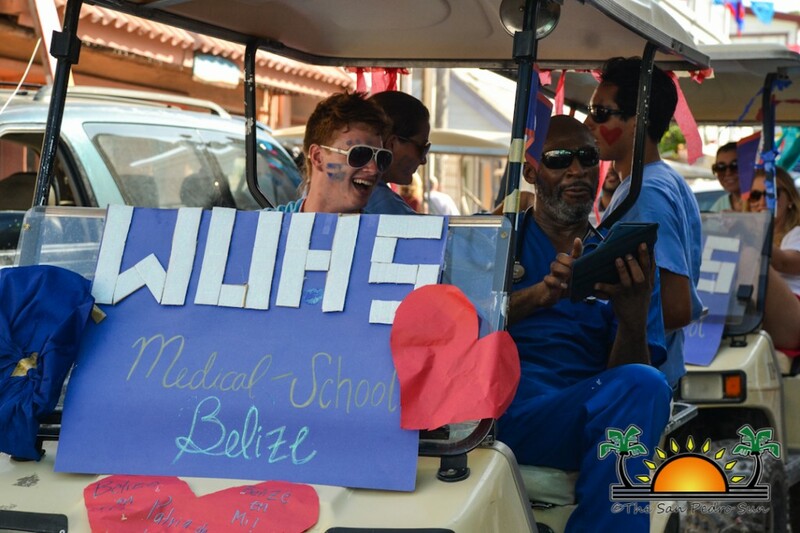 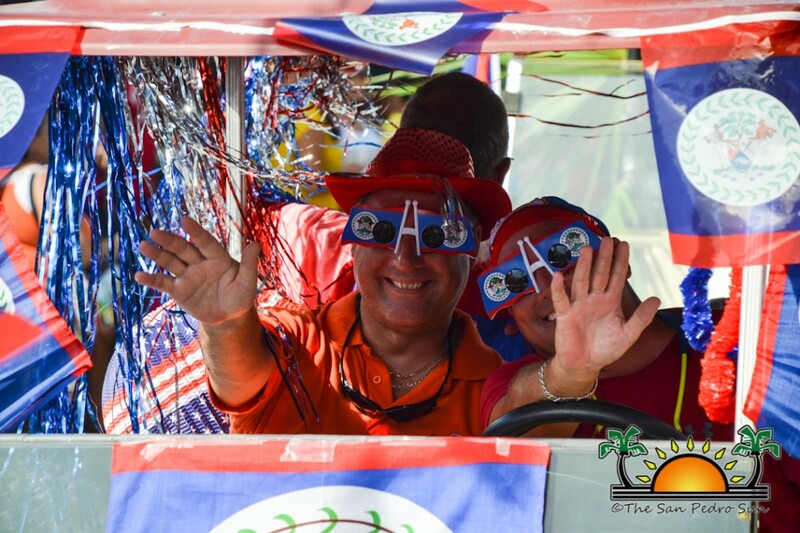 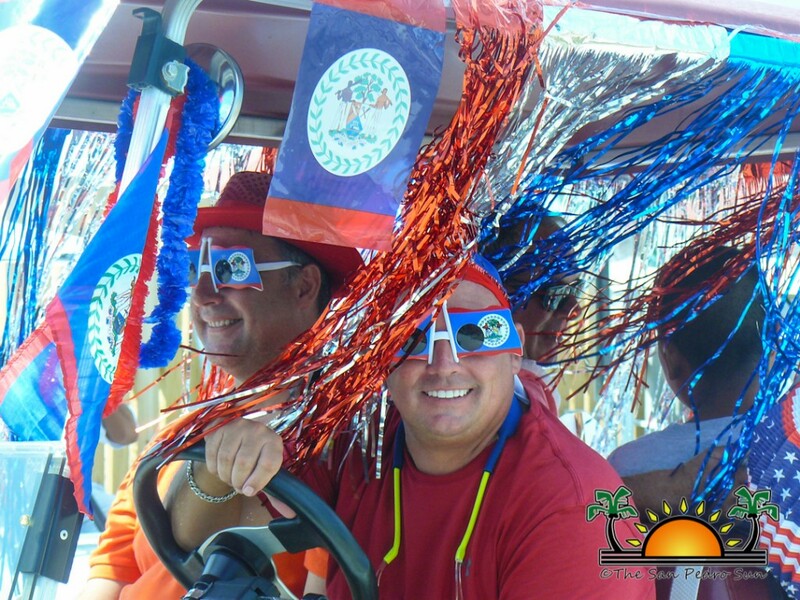 The Best Float prize went to Wil Alamilla’s team “Shaping up a Colorful Future”, while second place went to Wings for their patriotically decorated float. 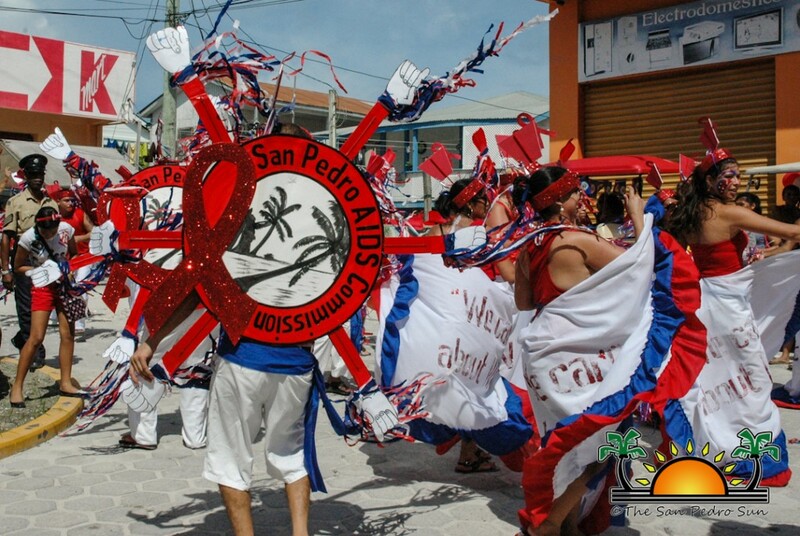 In the Adult Group category first place went to the San Pedro AIDS Commission, second place went to Sajia’s Construction and third went to Just Friends. 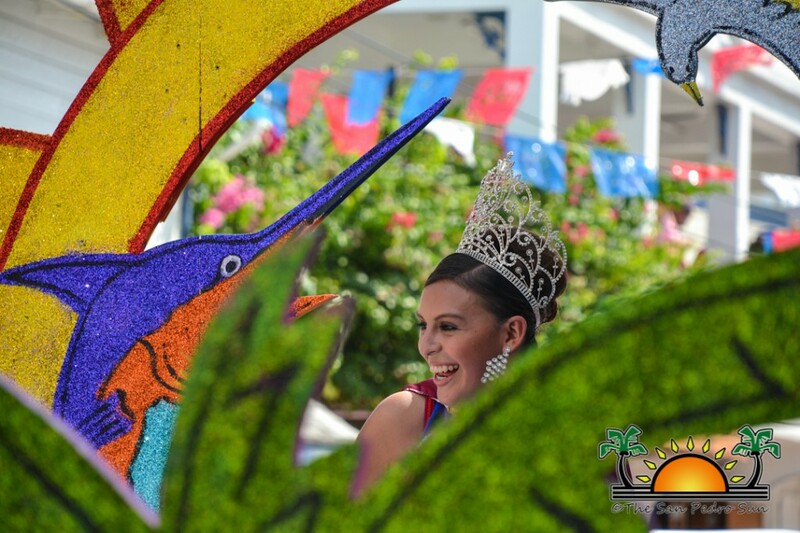 Wil Alamilla’s “Shaping up a Colorful Future” also took the School Category. 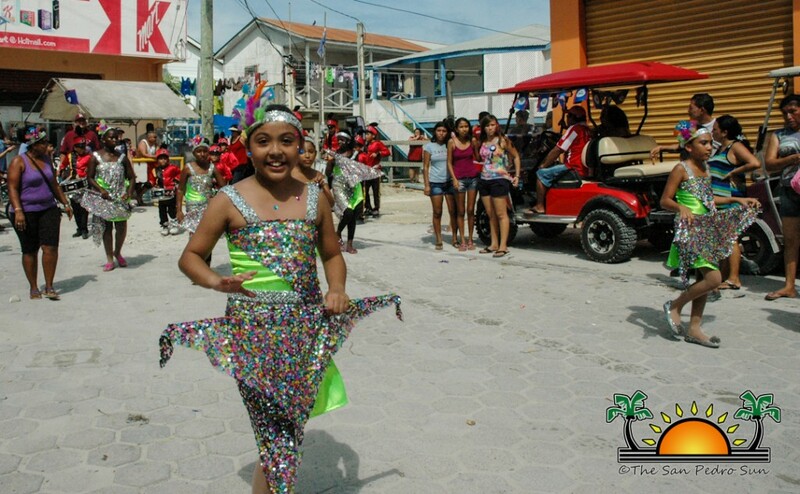 Little Dynamic Stars took the Kids Category. 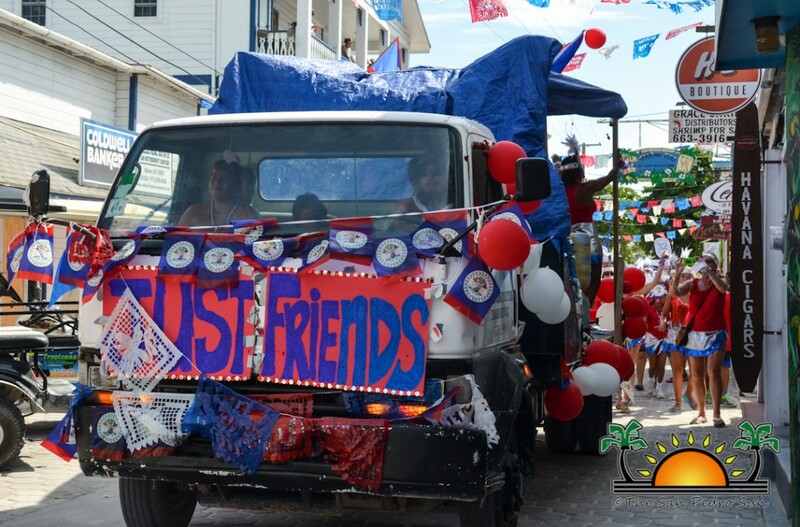 Congratulations to everyone who participated and helped make this year’s parade an exceptional one. 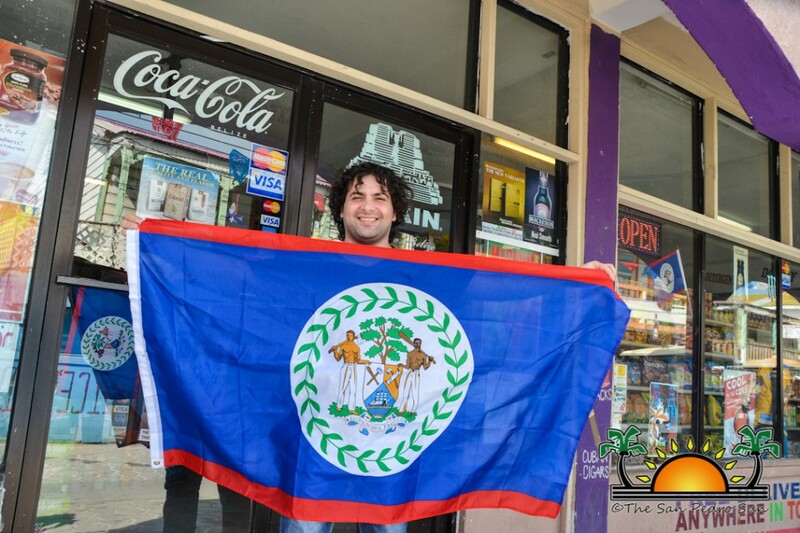 Long Live Belize!